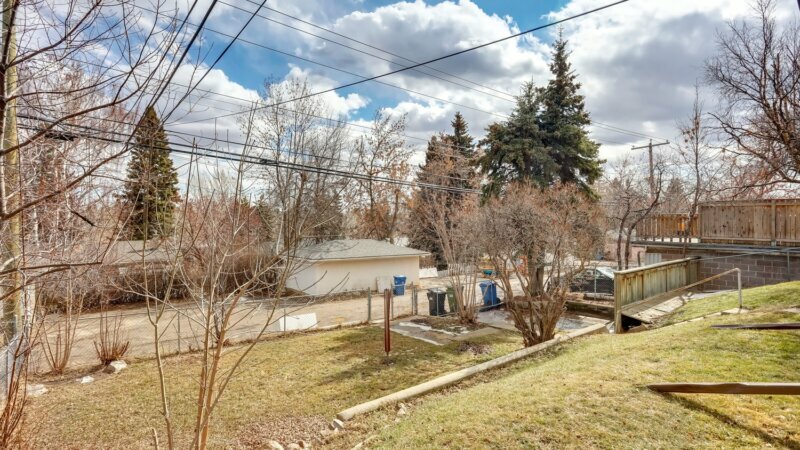 Don’t miss your opportunity to live in a well established area with quick and easy access to city centre and public transportation. 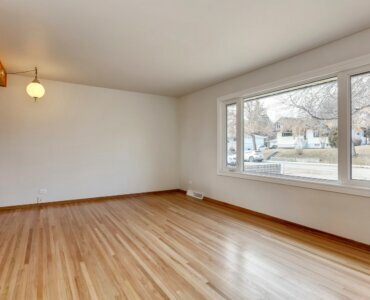 1300+ sq. 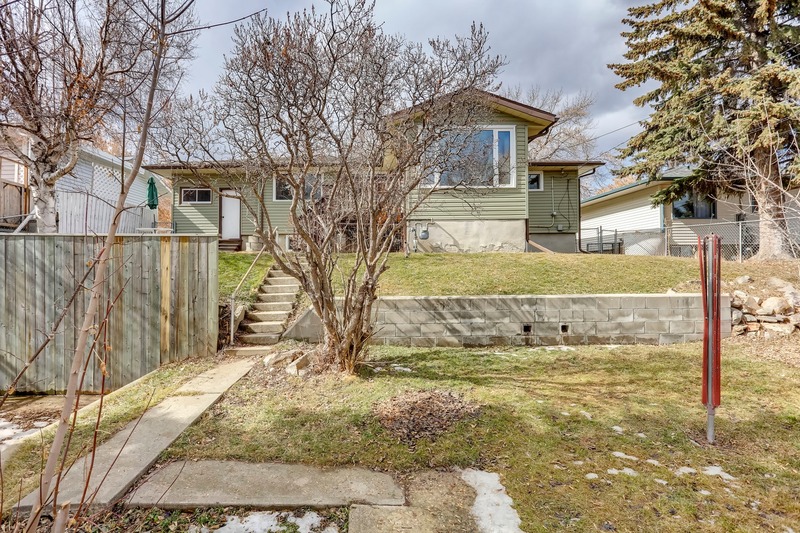 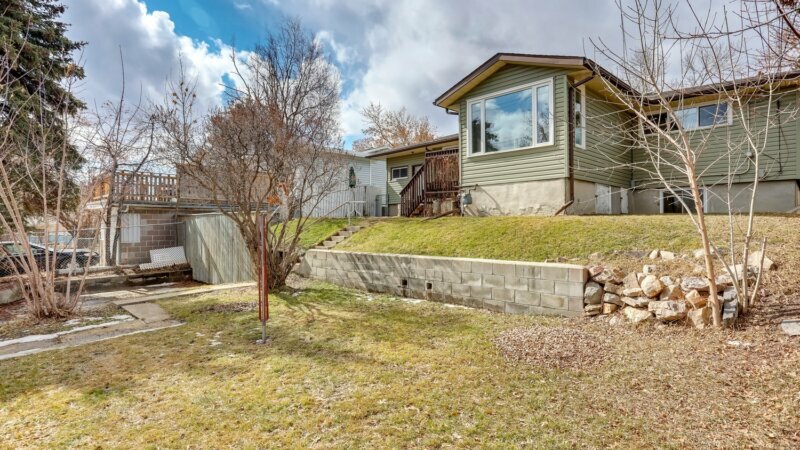 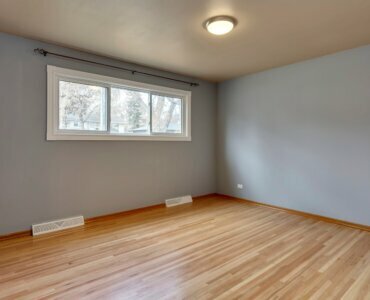 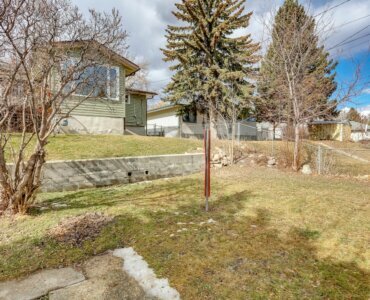 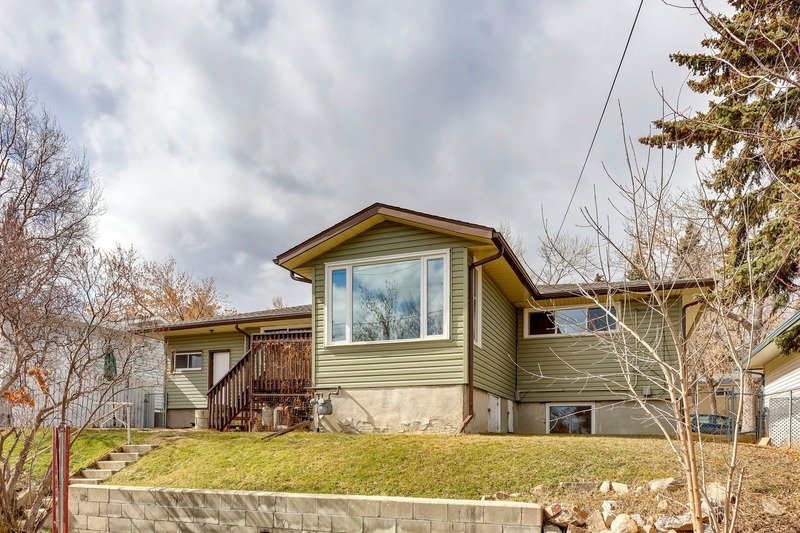 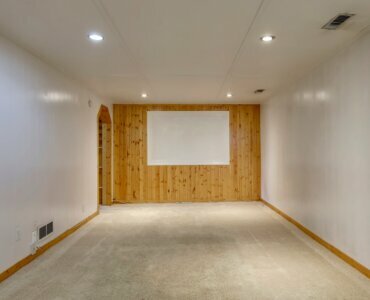 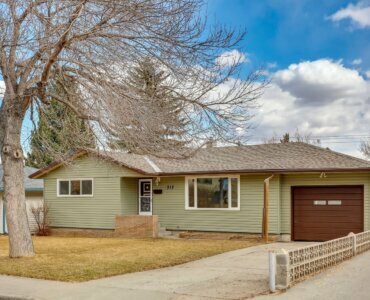 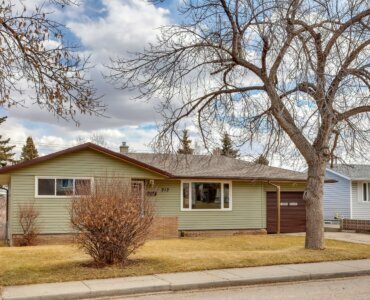 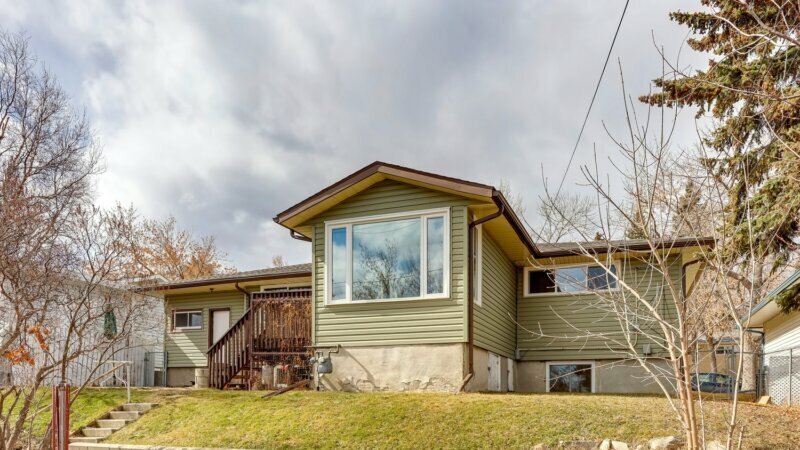 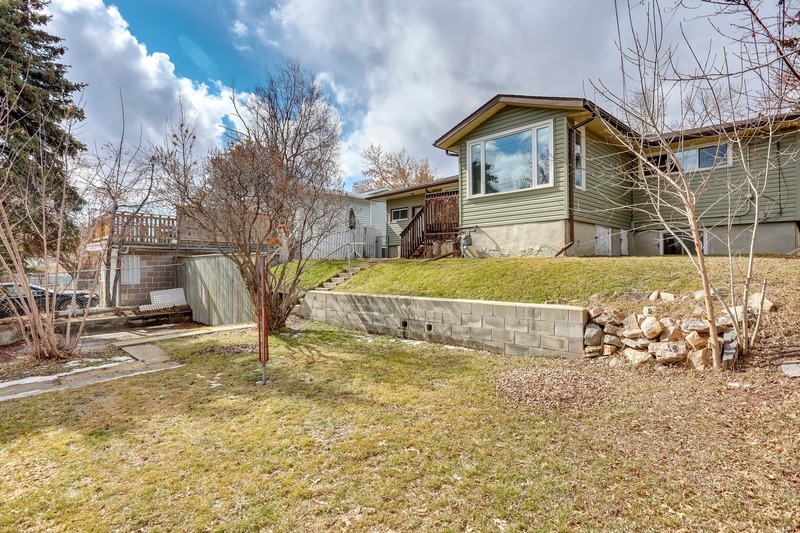 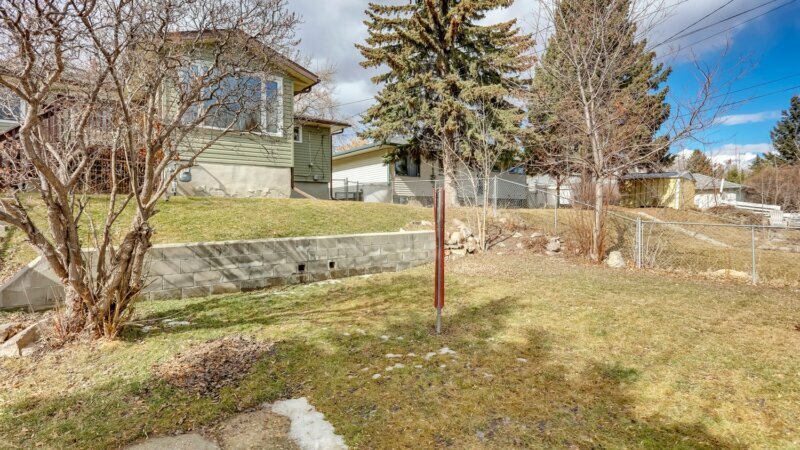 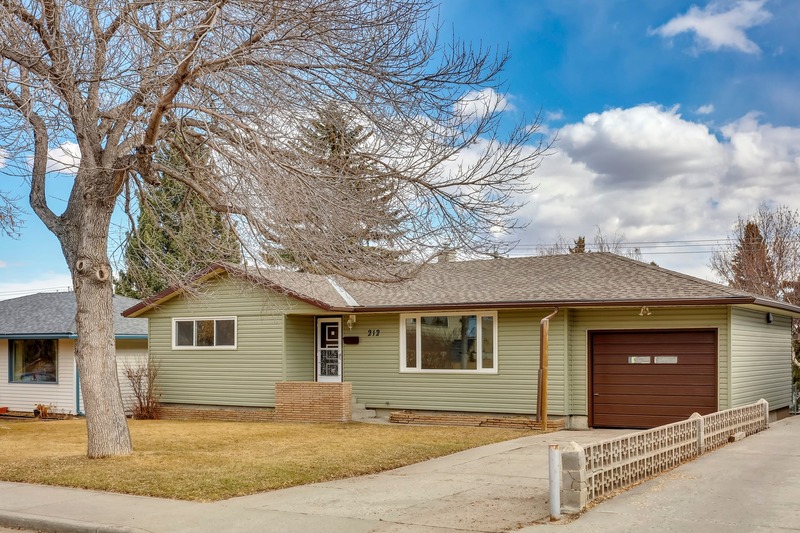 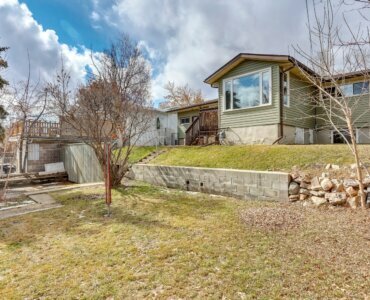 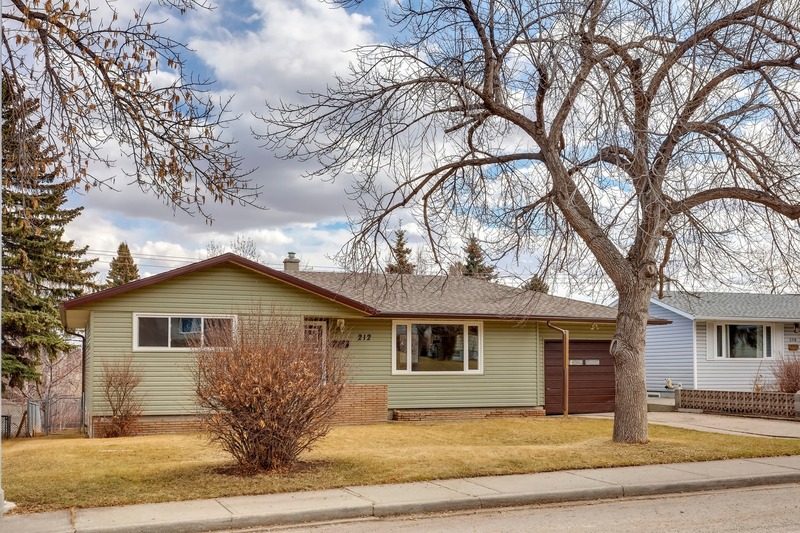 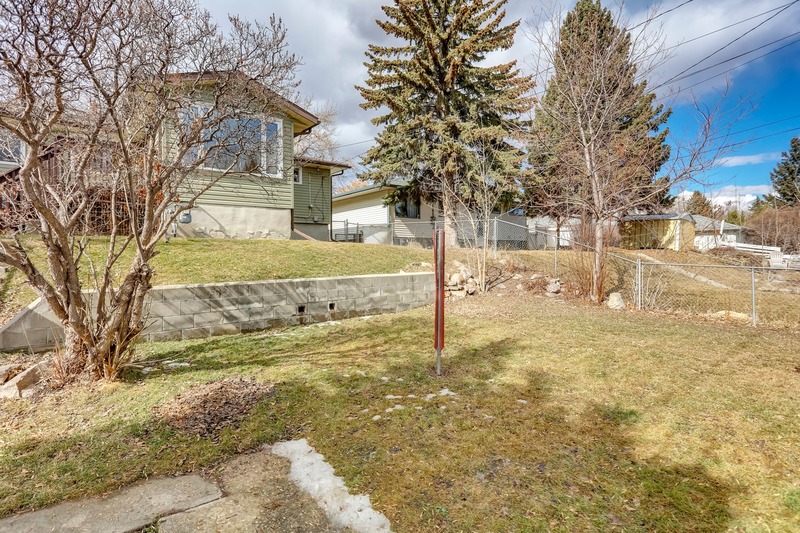 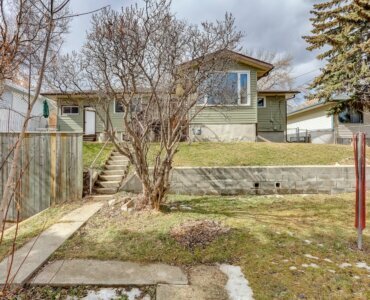 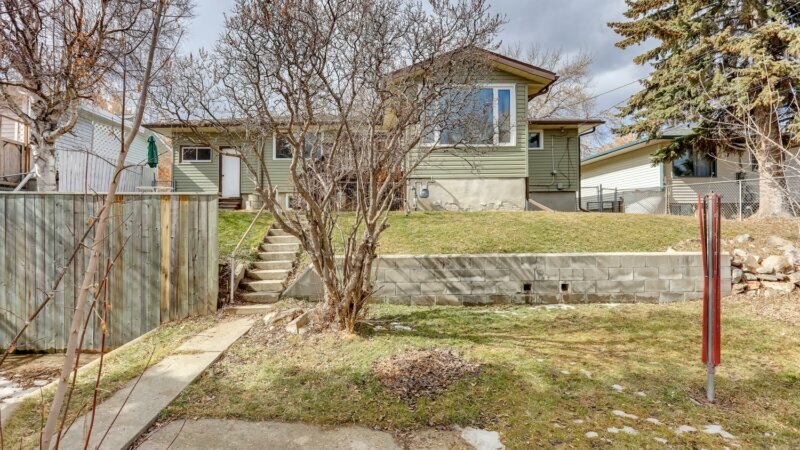 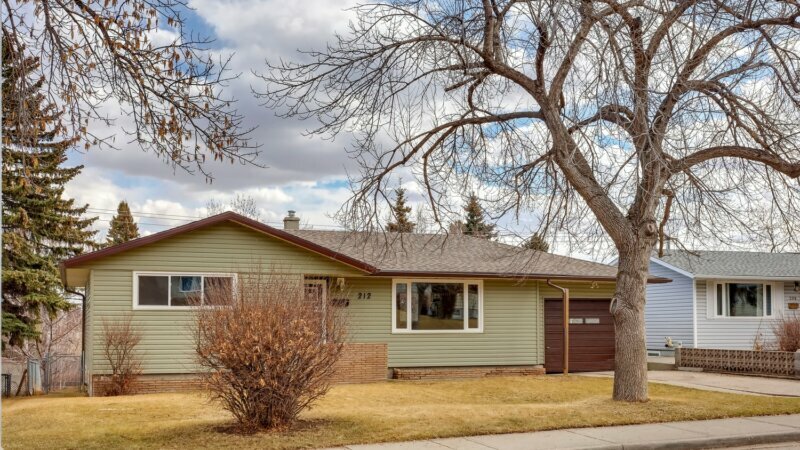 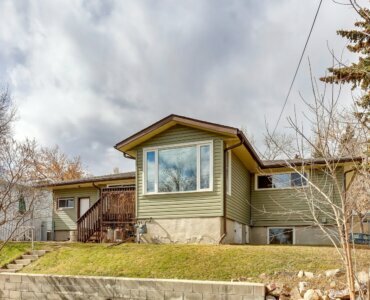 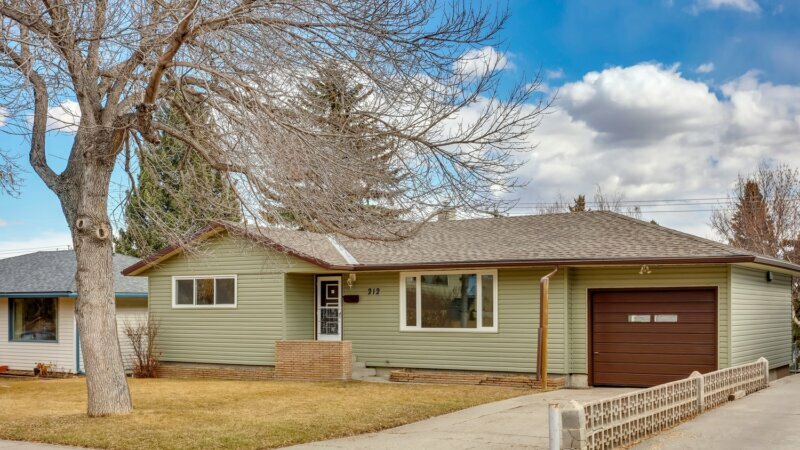 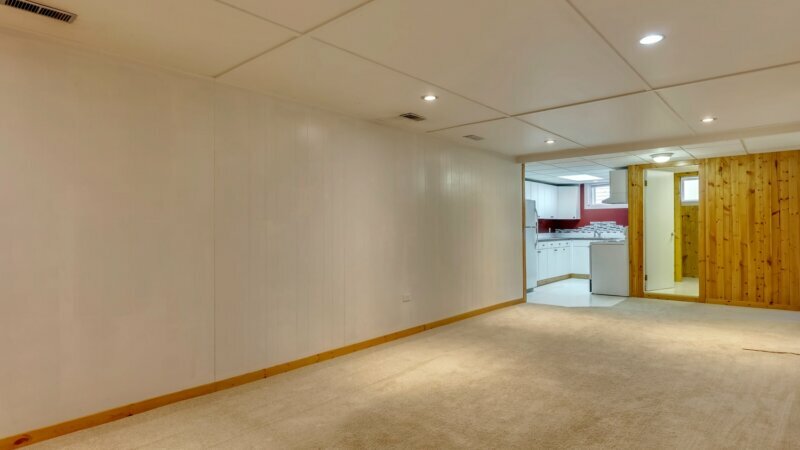 ft updated bungalow on a 60 x 100ft R-C2 lot. 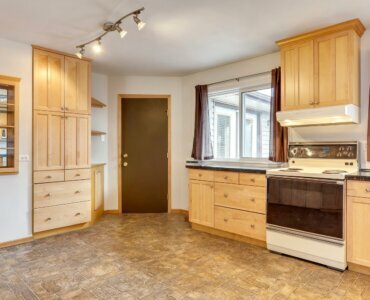 Beautiful family home boasting a bright open floor plan with gleaming red maple hardwood floors throughout. 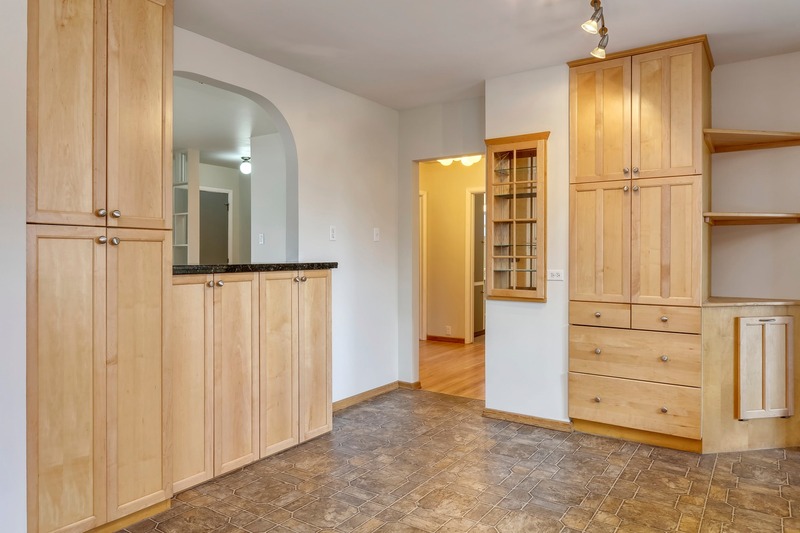 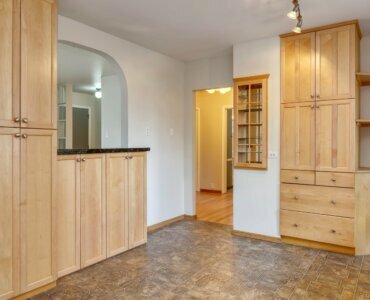 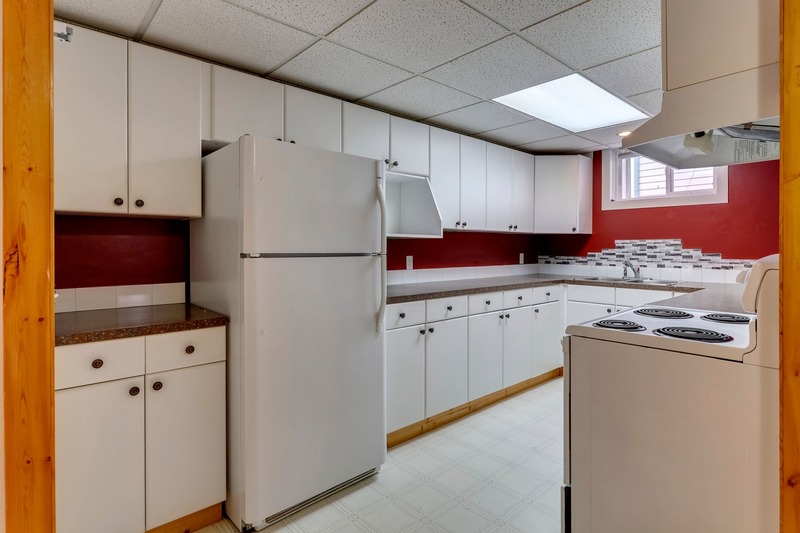 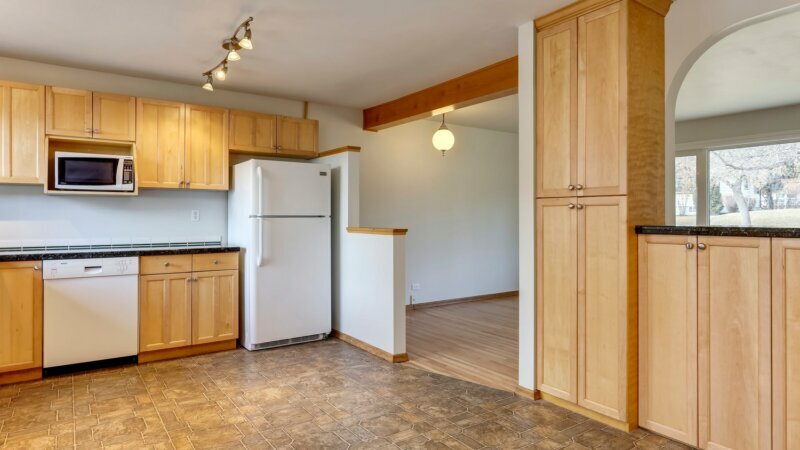 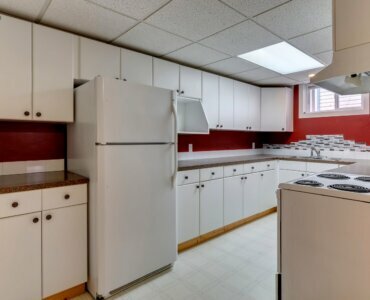 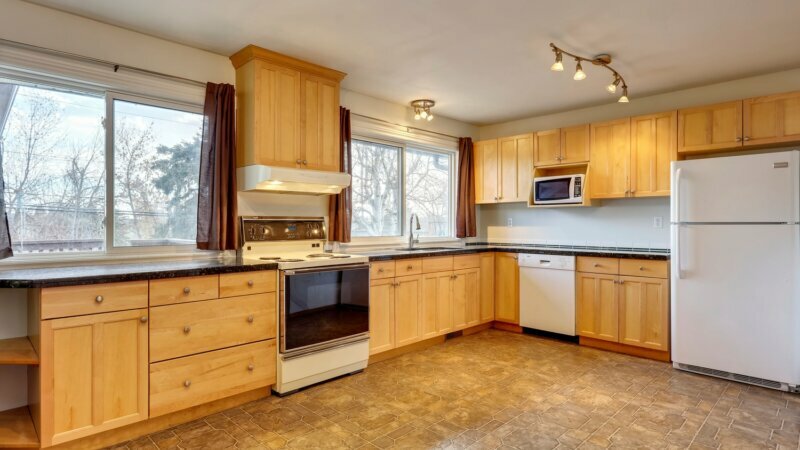 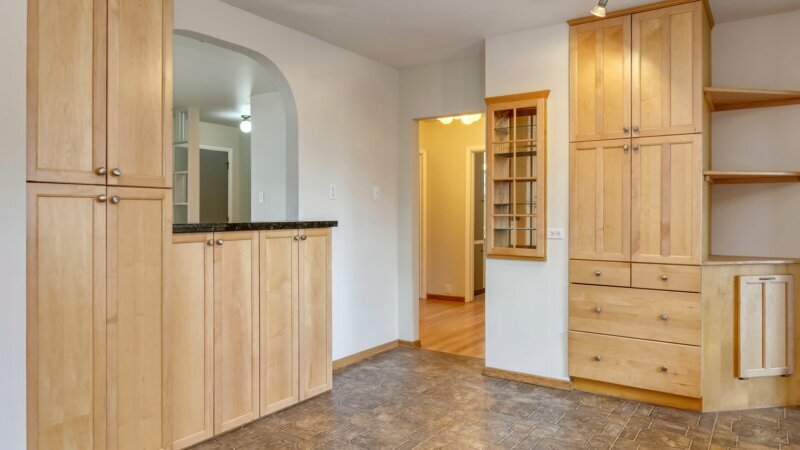 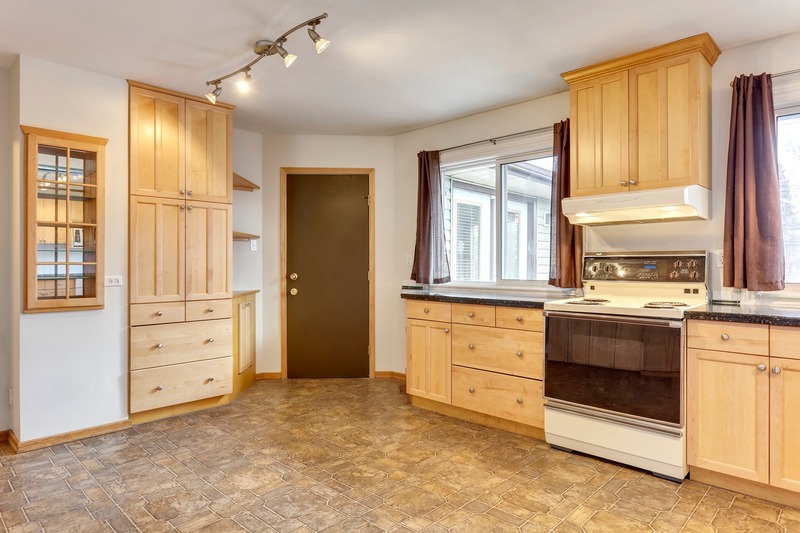 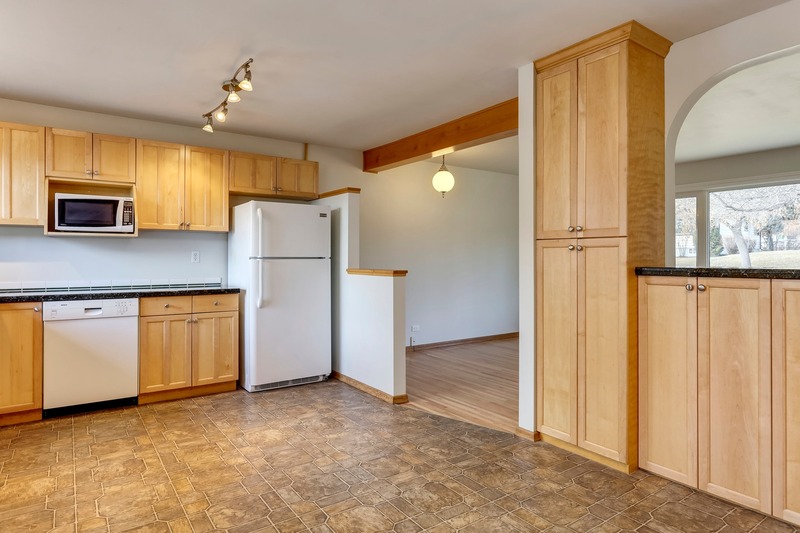 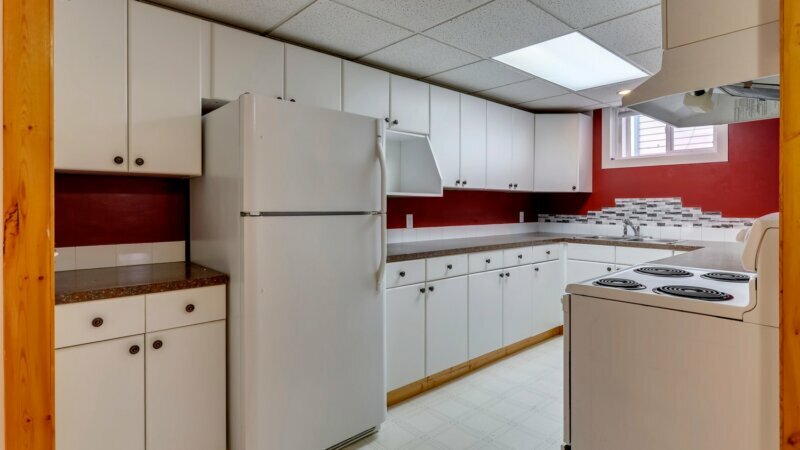 Kitchen boasts, granite counter tops, maple cabinets /glass showcase, nook and pass through with granite counter top. 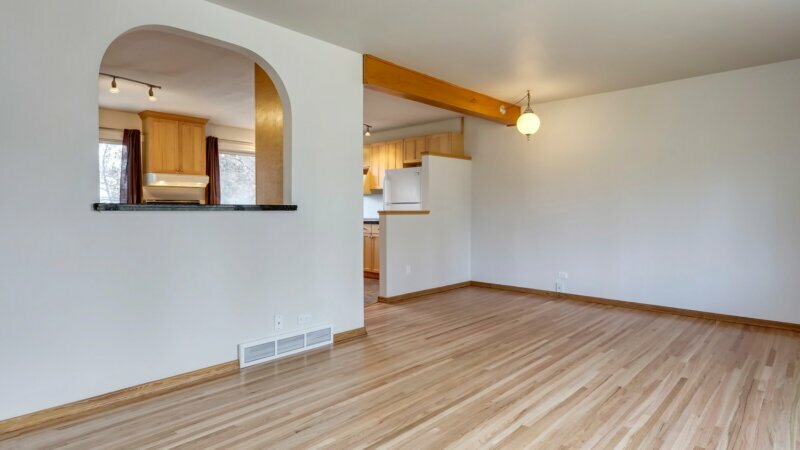 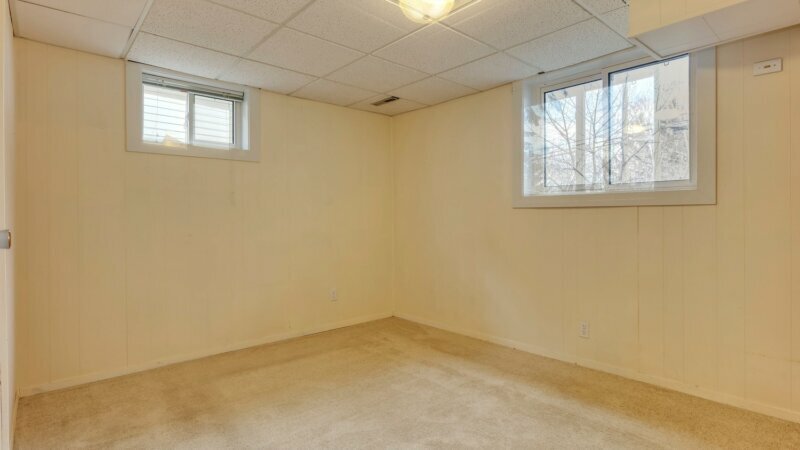 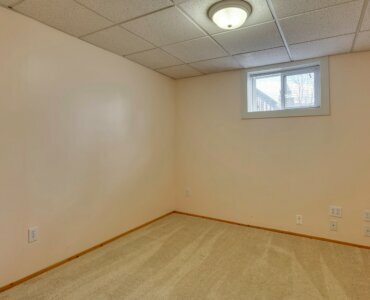 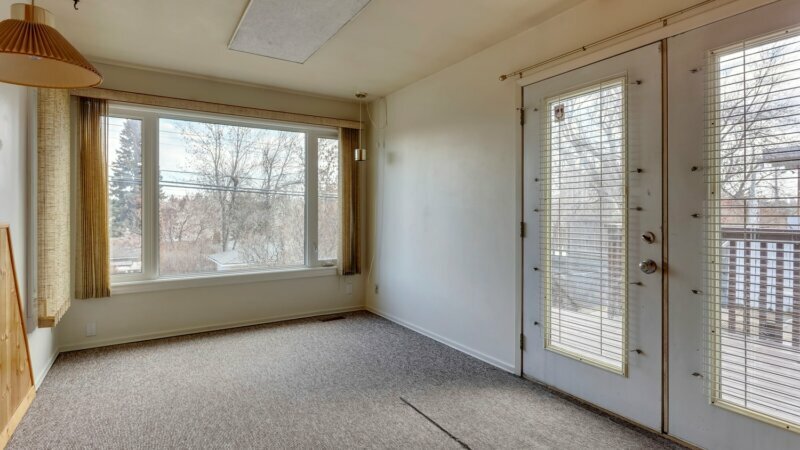 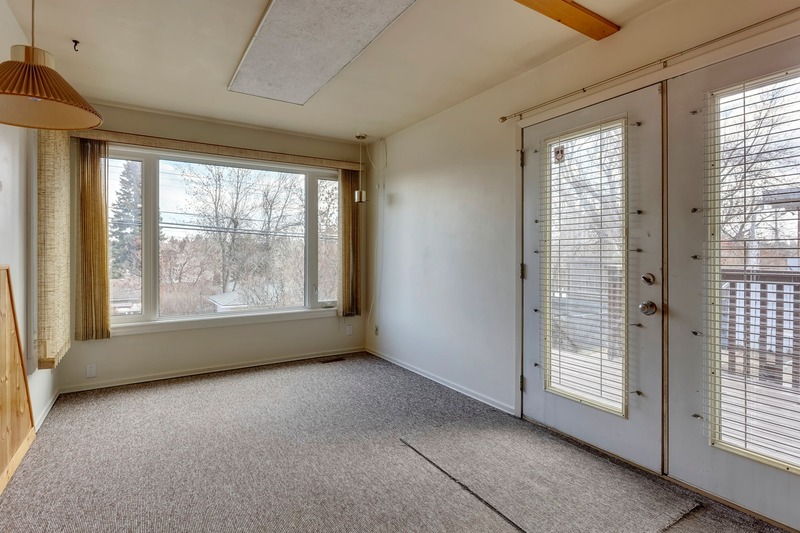 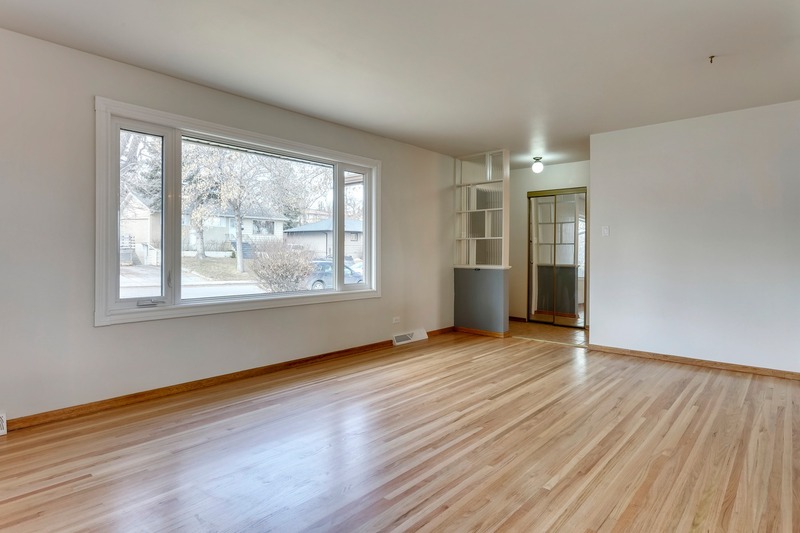 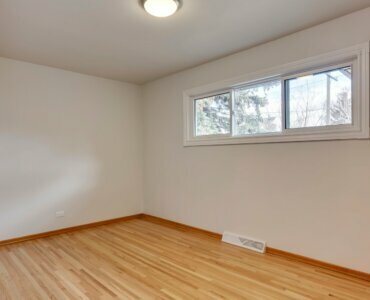 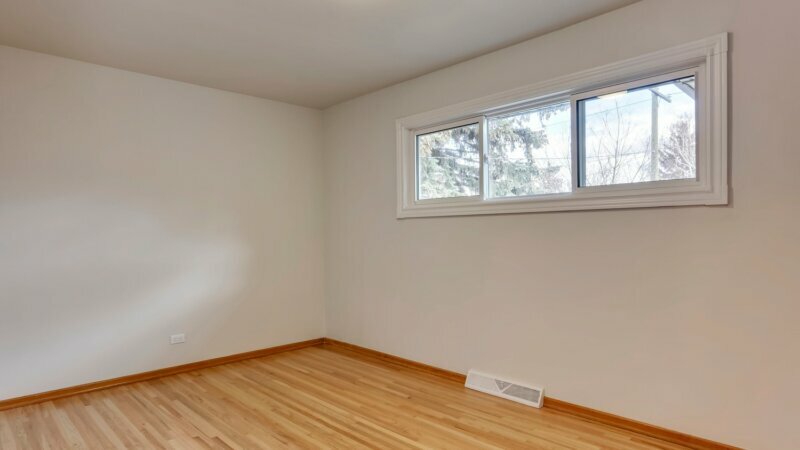 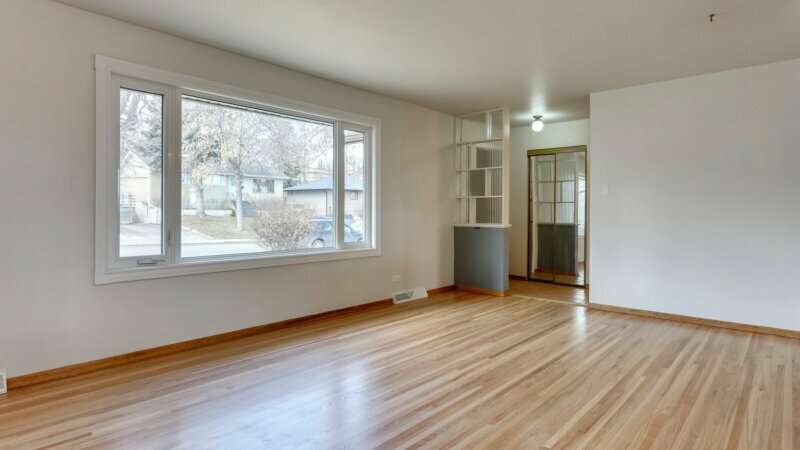 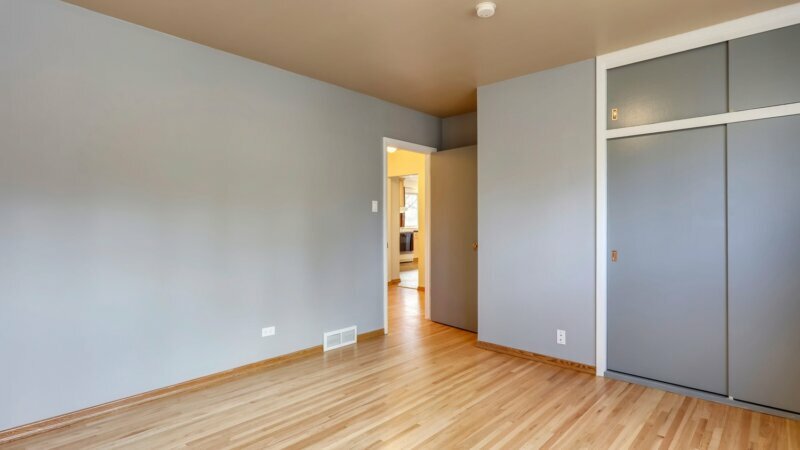 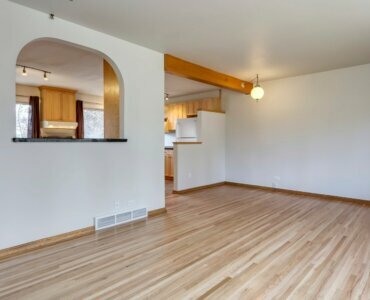 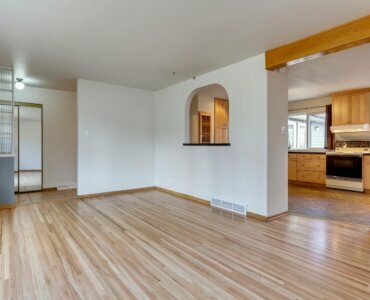 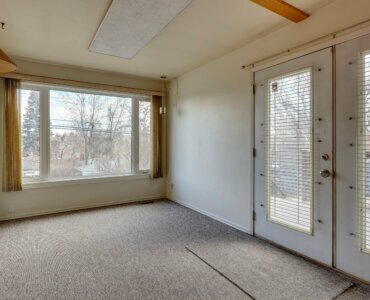 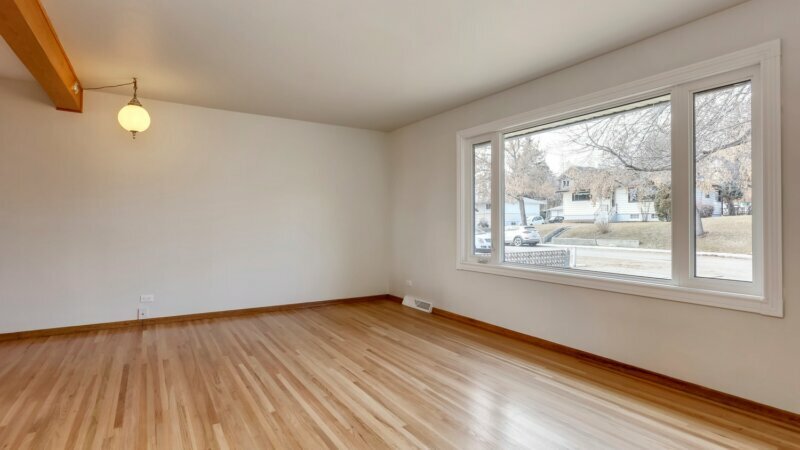 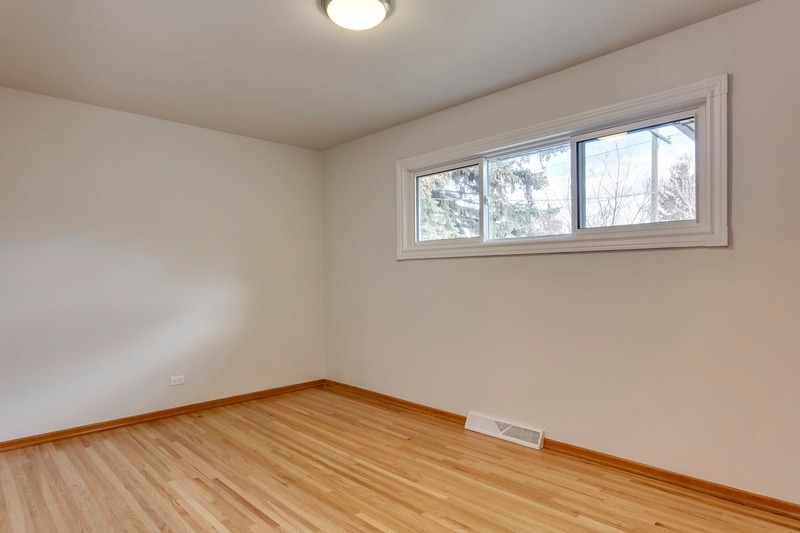 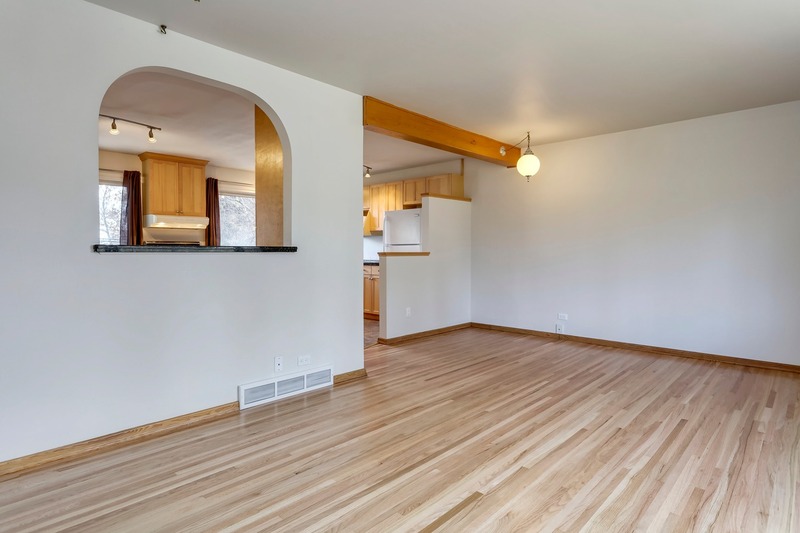 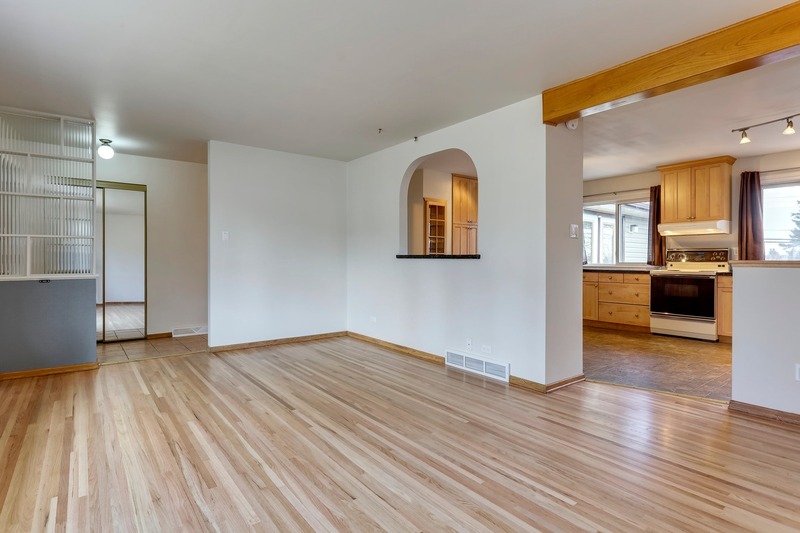 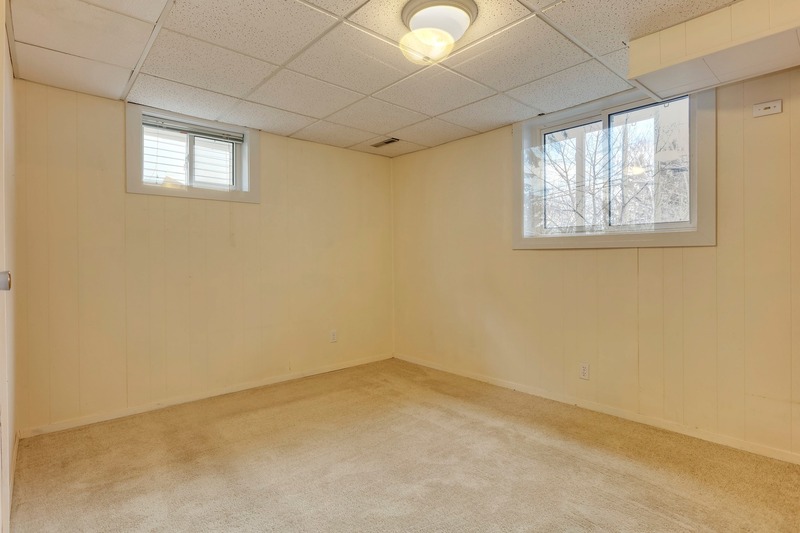 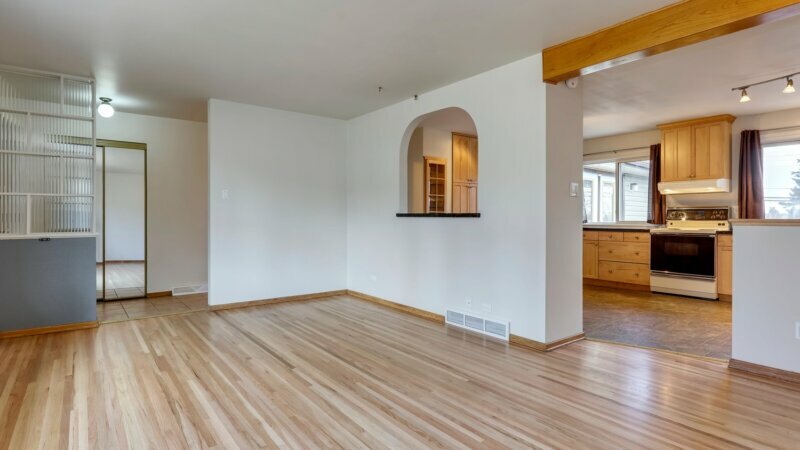 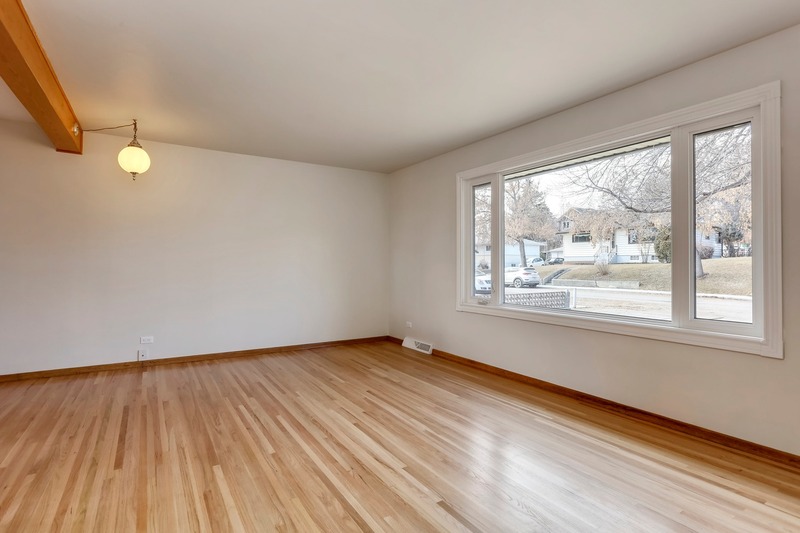 Living room is spacious and bright w/adjoining dining room. 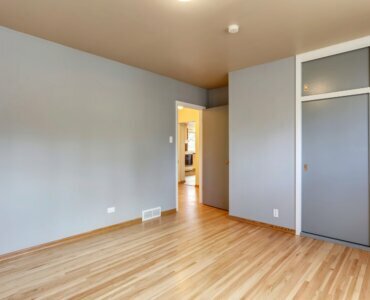 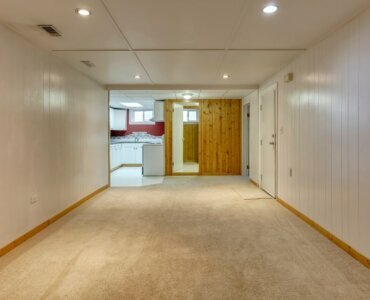 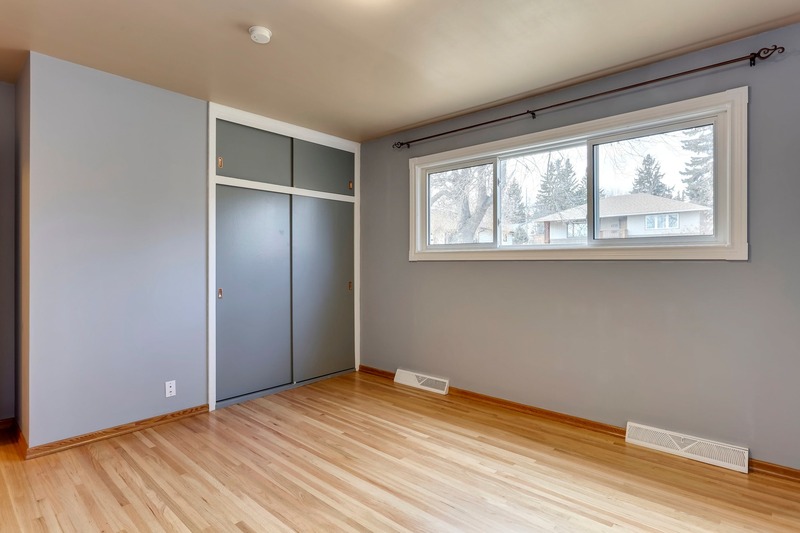 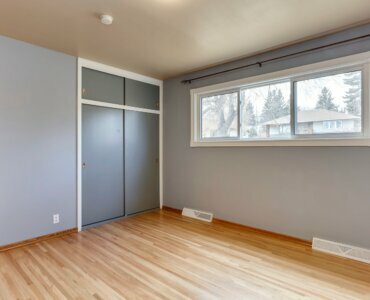 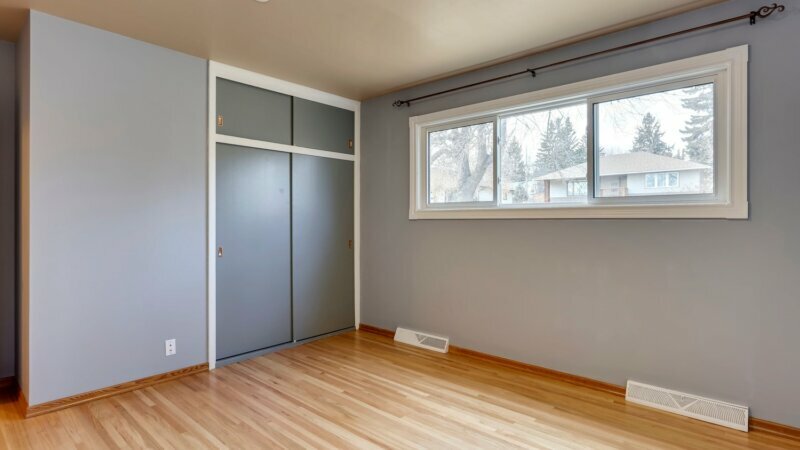 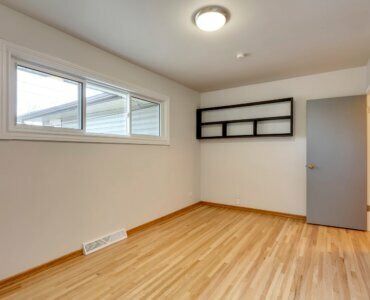 Both bedrooms are very spacious with ample closet & storage space. 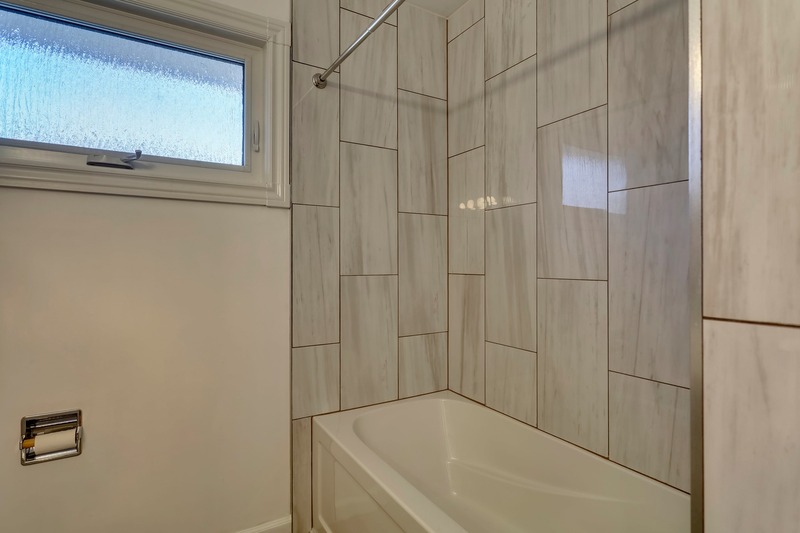 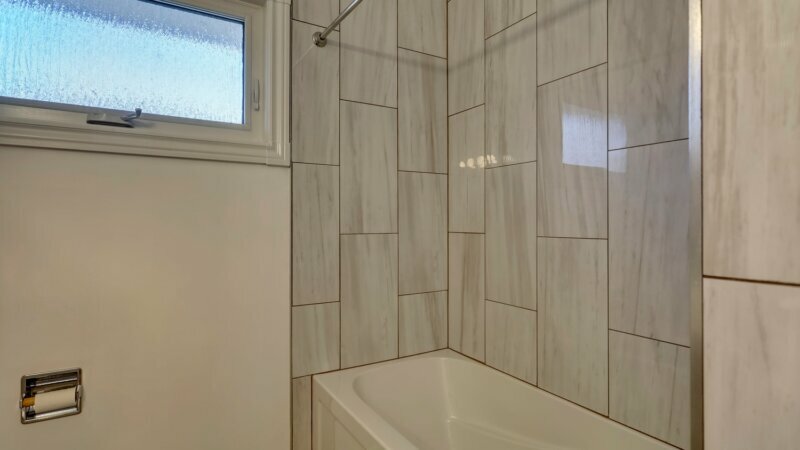 Main floor bathroom was upgraded in 2018 with new soaker tub, tile surround and vinyl plank flooring. 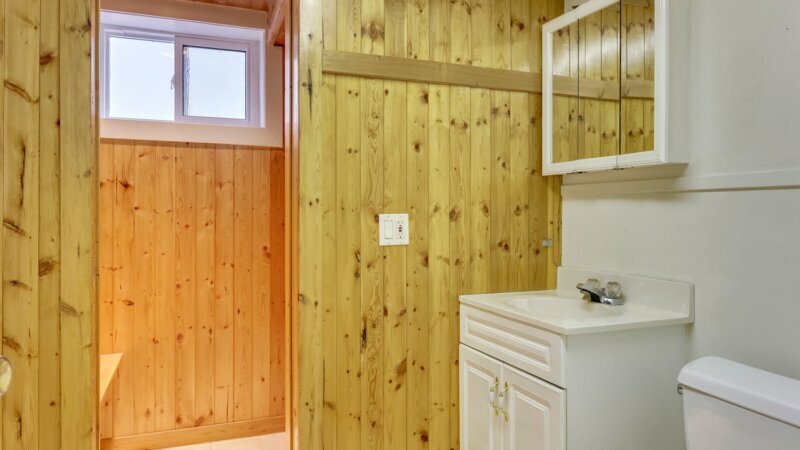 How cute the home even has the original laundry shoot! 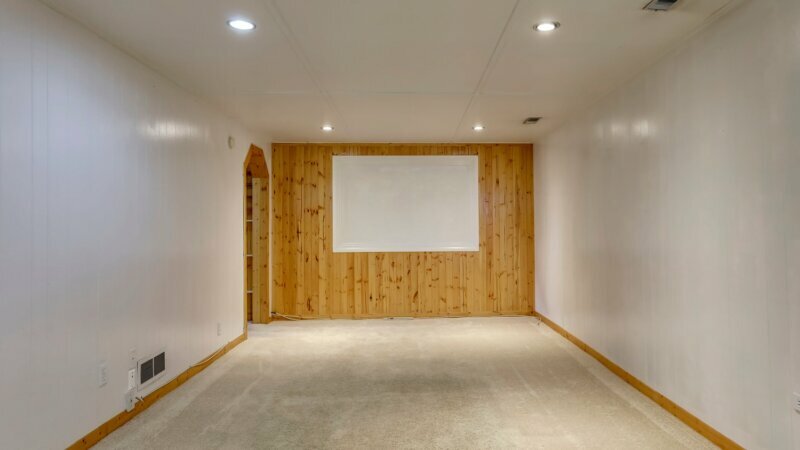 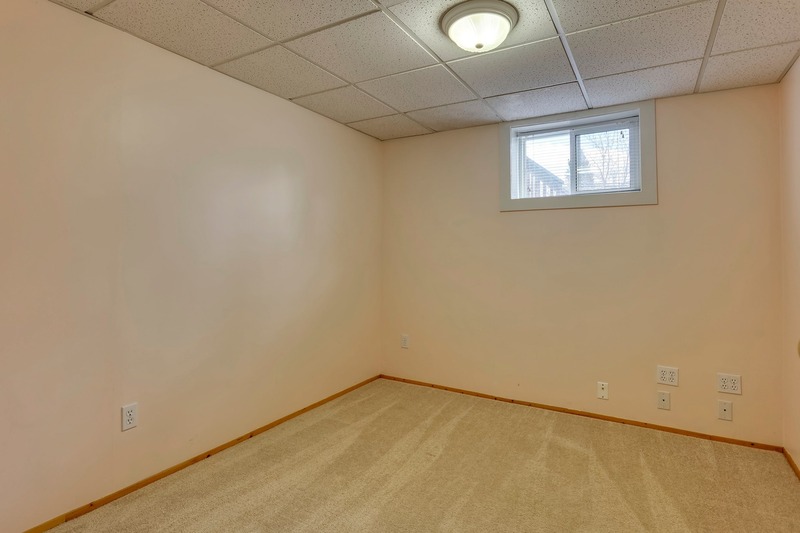 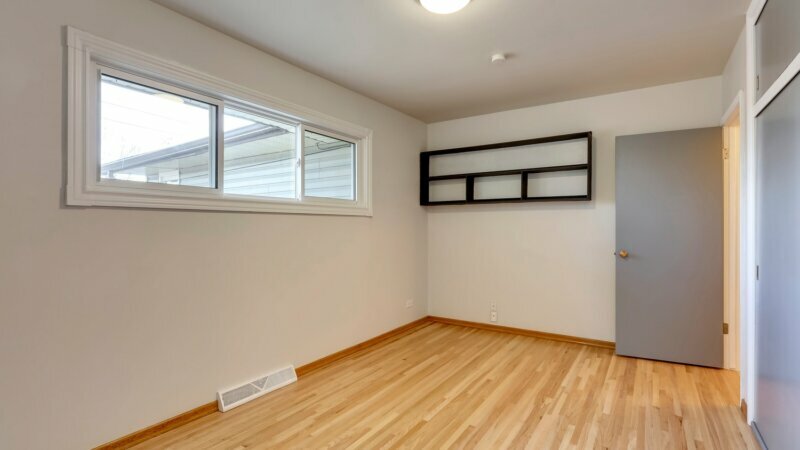 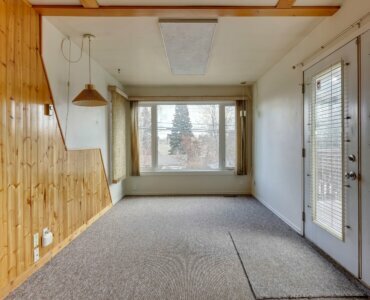 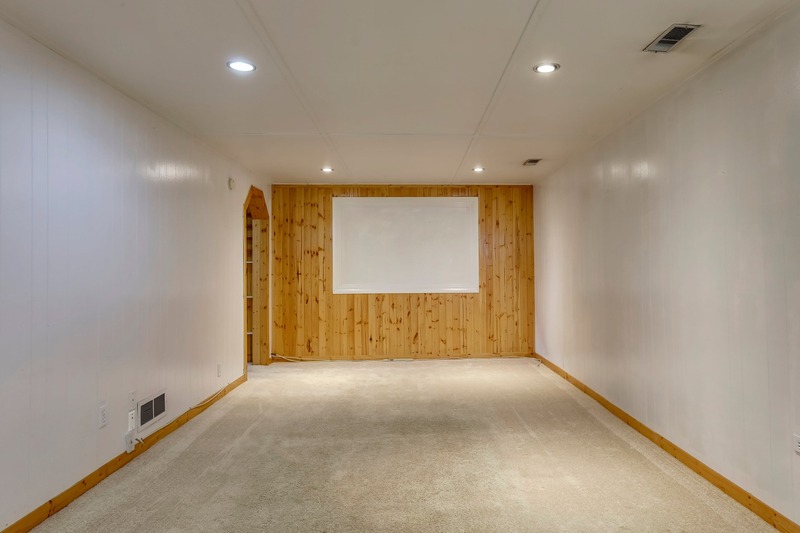 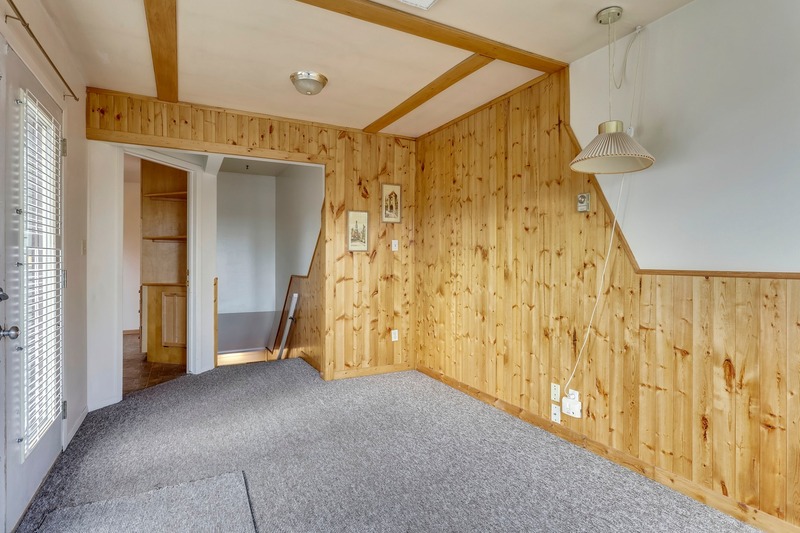 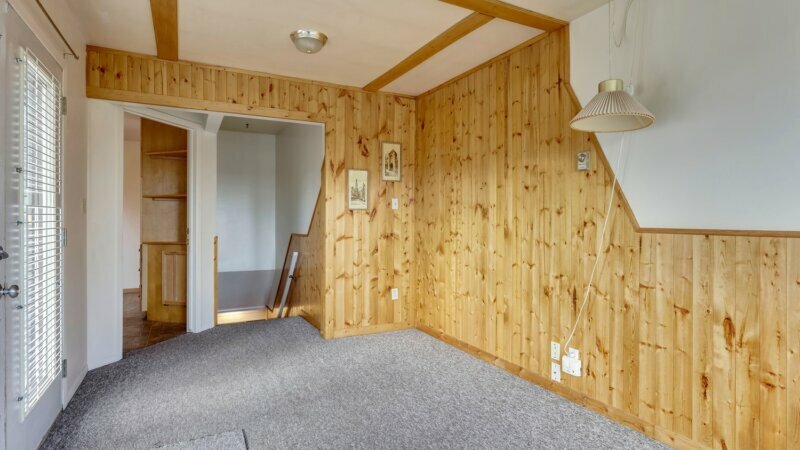 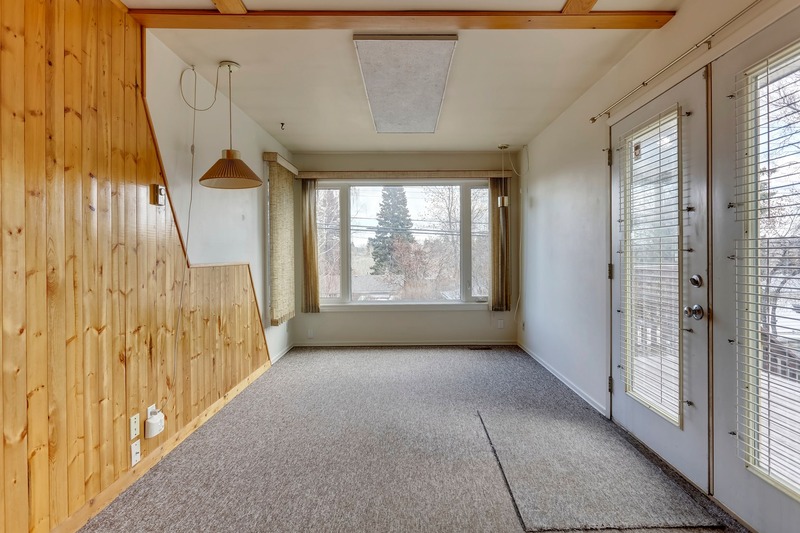 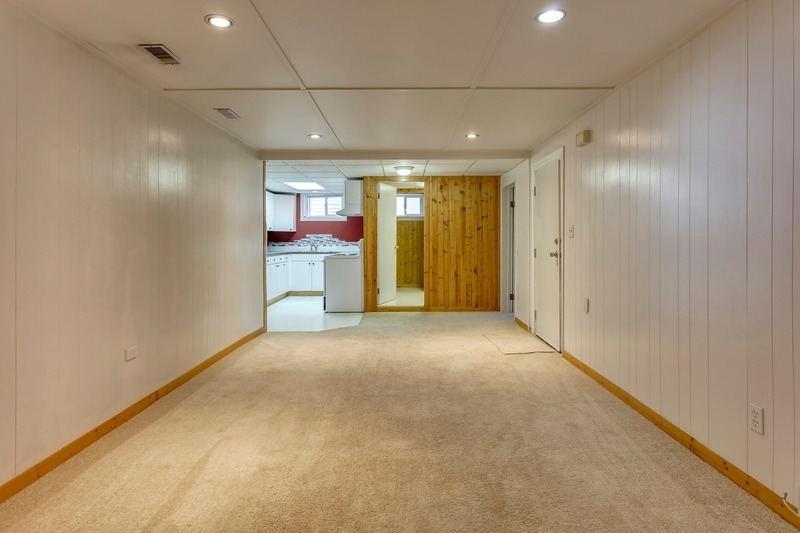 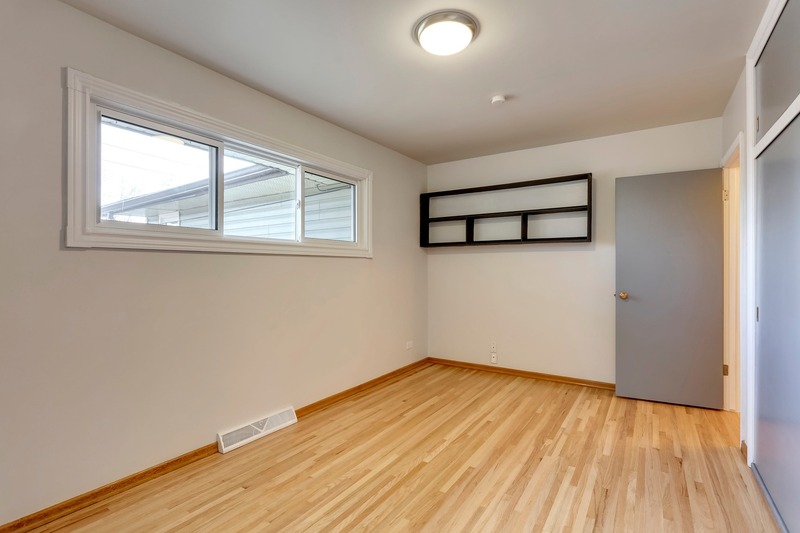 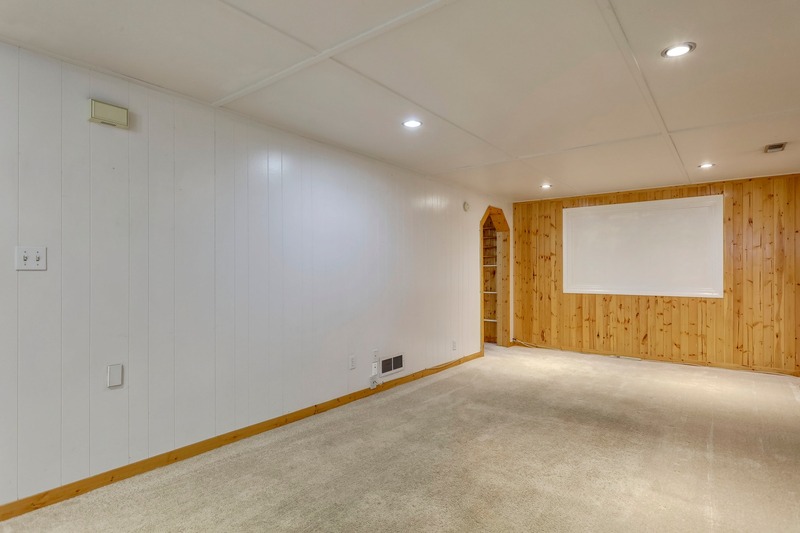 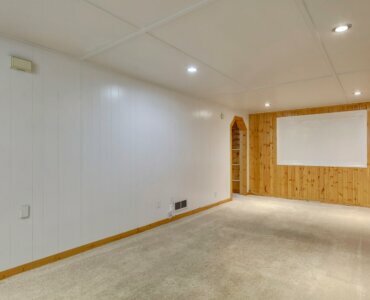 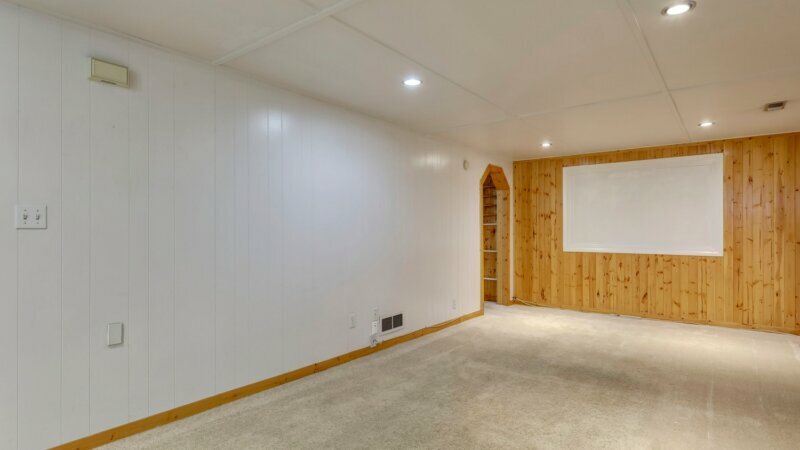 The addition is perfect for a home office, craft room, rec room, 3rd bedroom or a place to relax and enjoy the scenery in the private back yard. 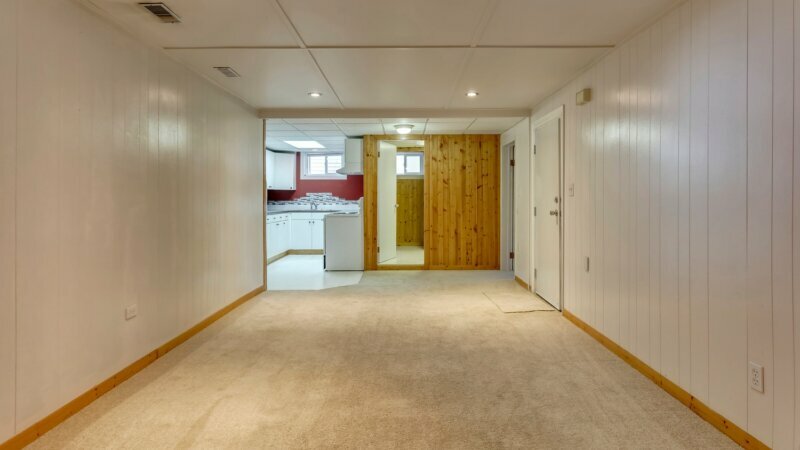 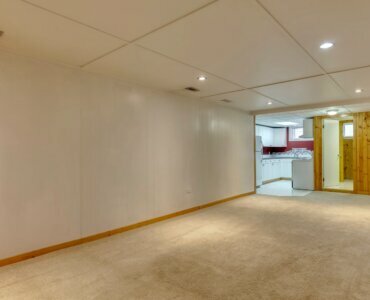 Need space for extended family? 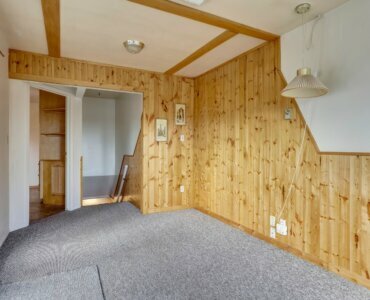 or pay your mortgage quicker? 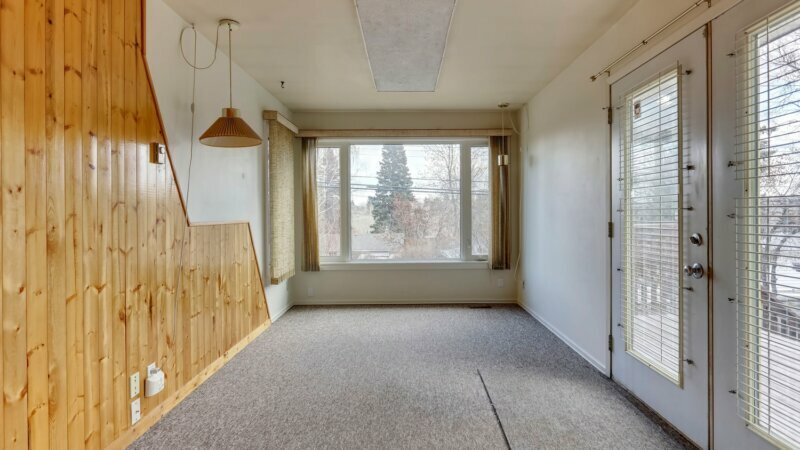 The illegal suite can help! 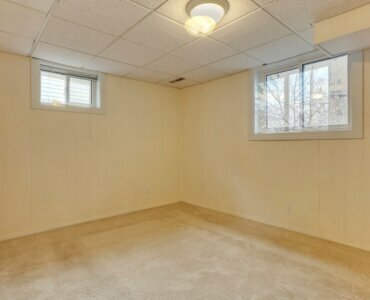 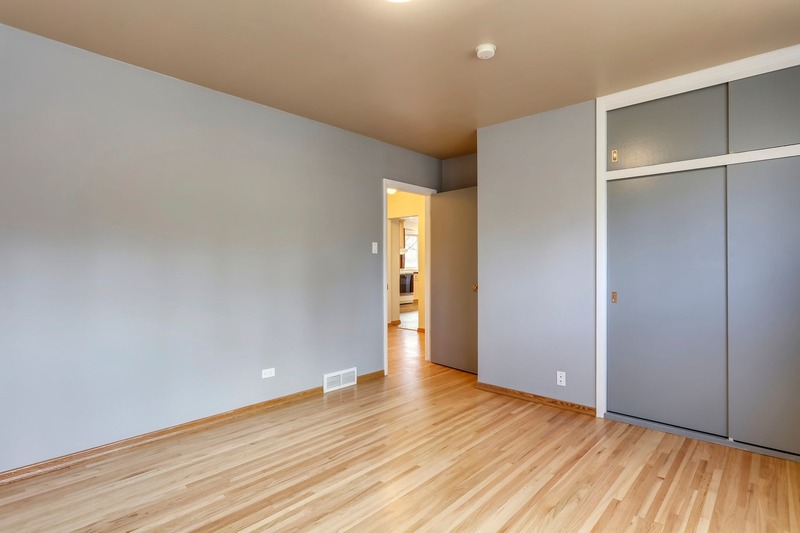 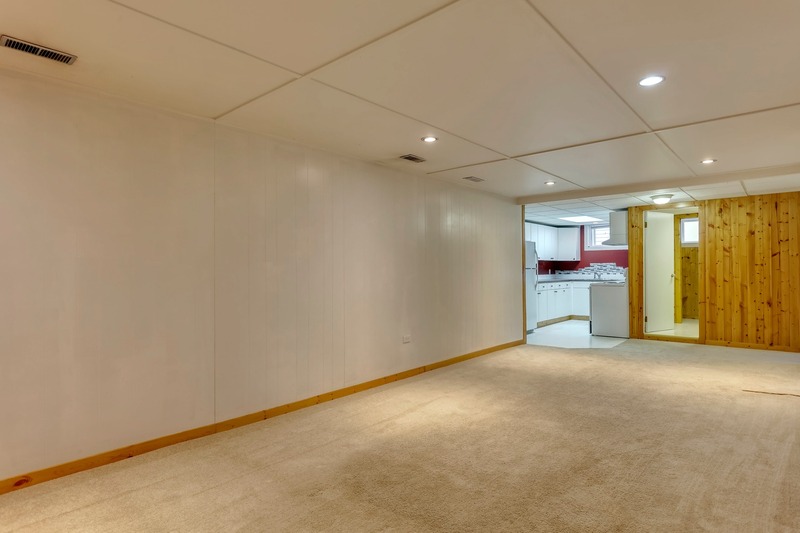 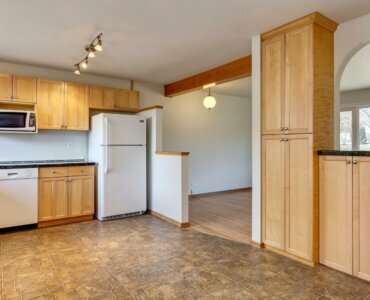 This suite has a great floor plan, featuring a living/ dining room combo, galley kitchen, bedroom + den. 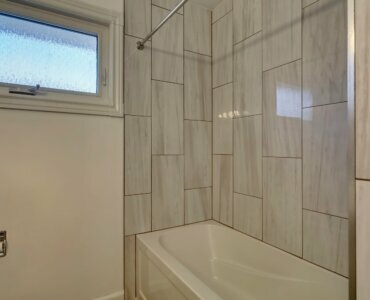 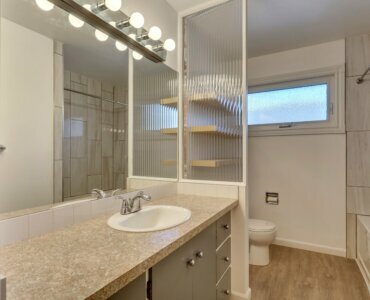 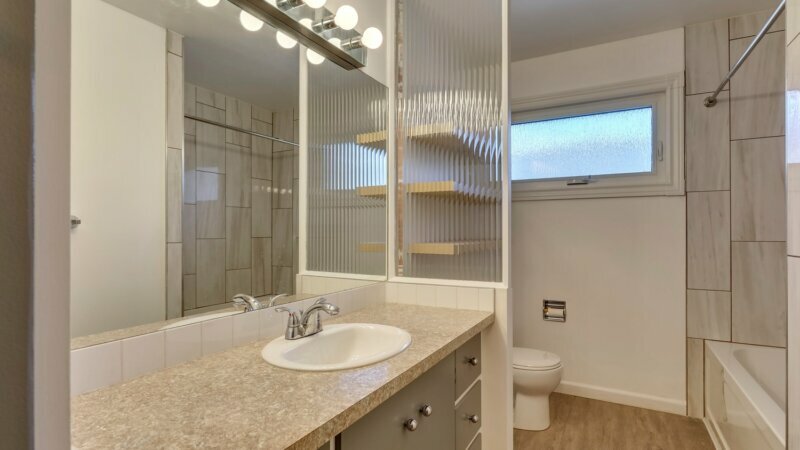 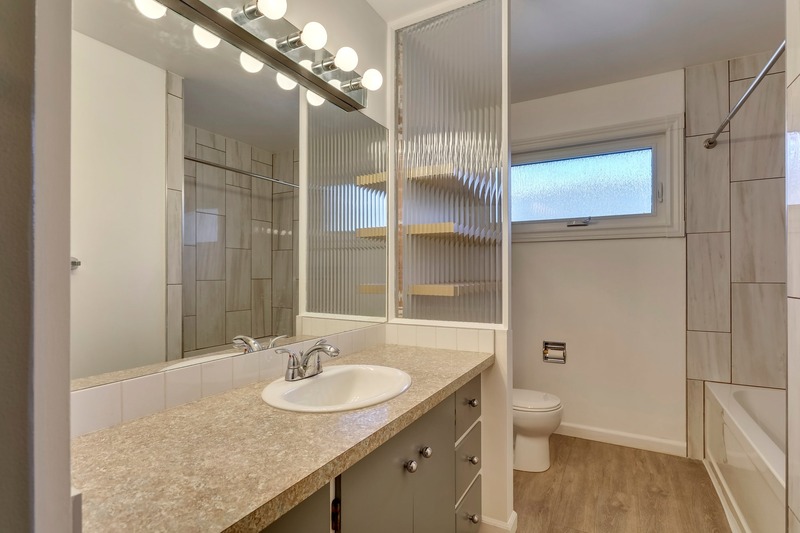 The bathroom has newer double bath fitter shower + change area. 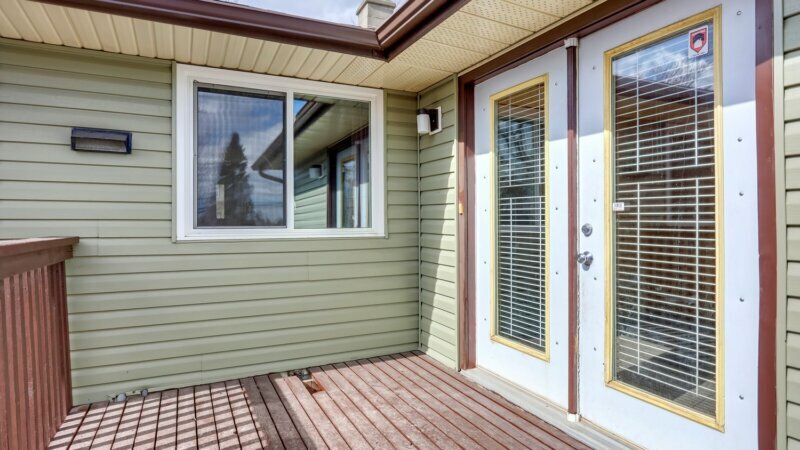 Further upgrades include: New windows, shingles & H2O tank (2018) Furnace replaced 2007. 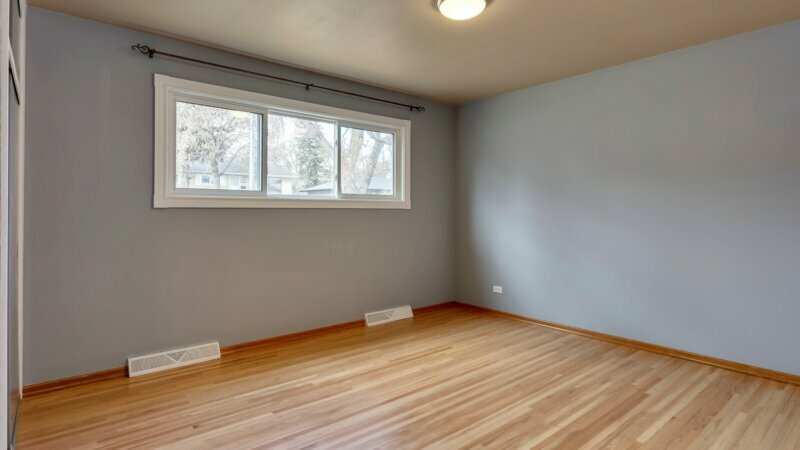 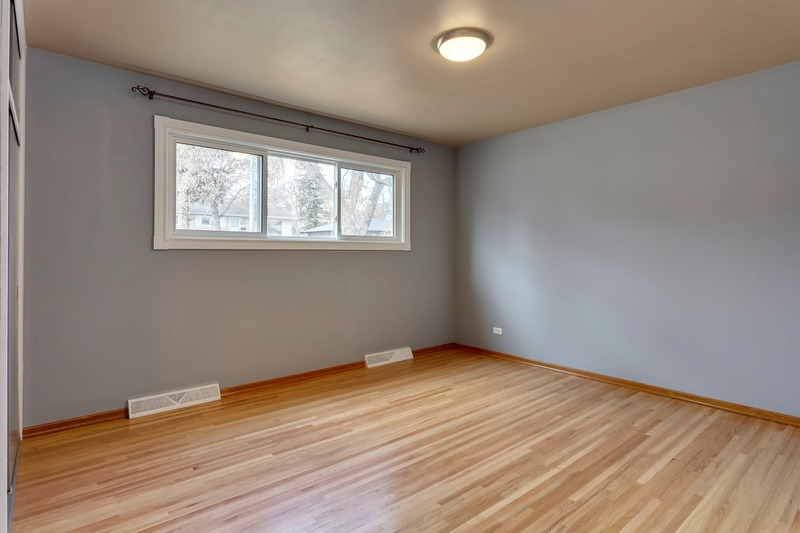 Refinished hardwood (2019). 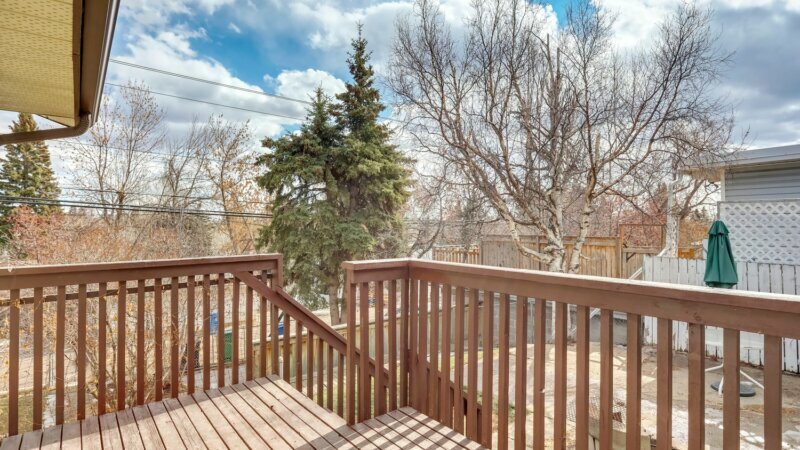 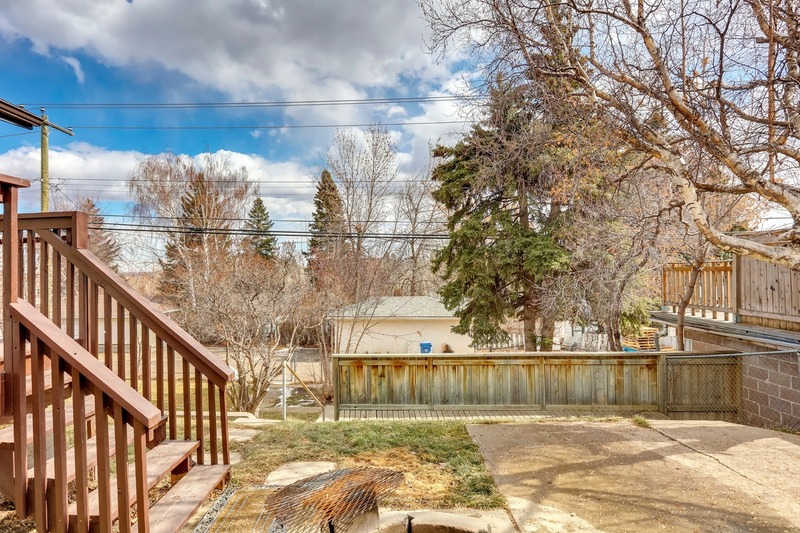 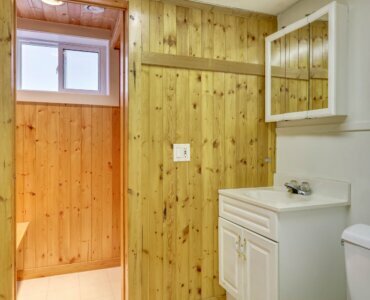 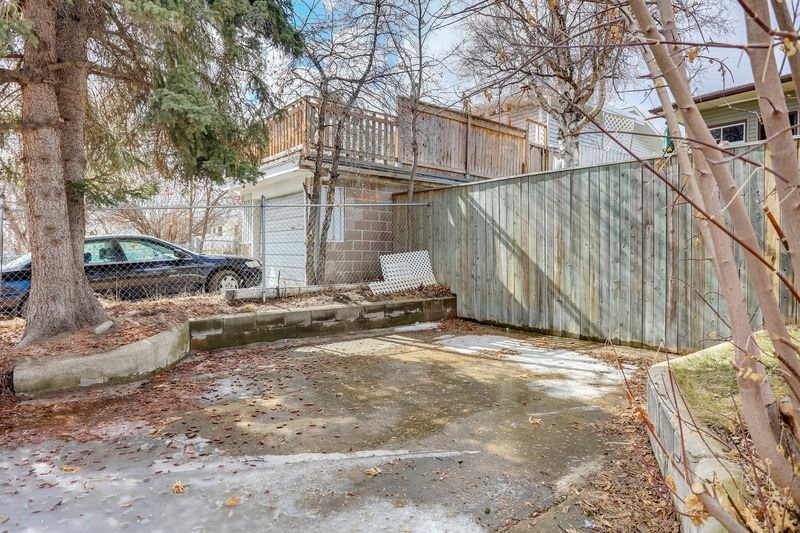 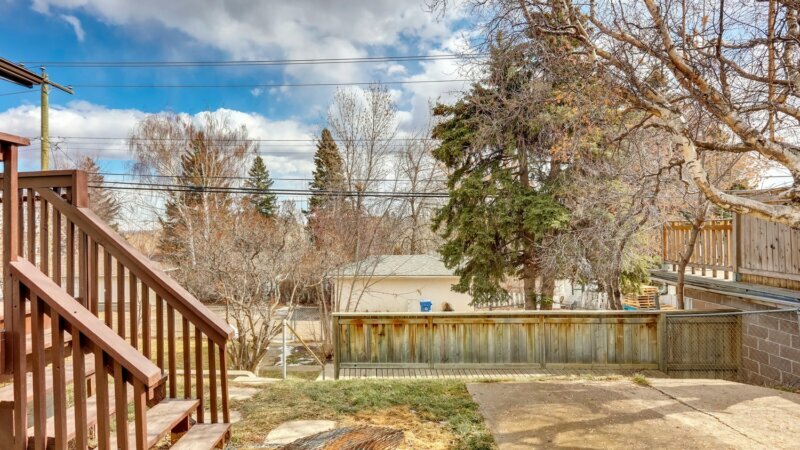 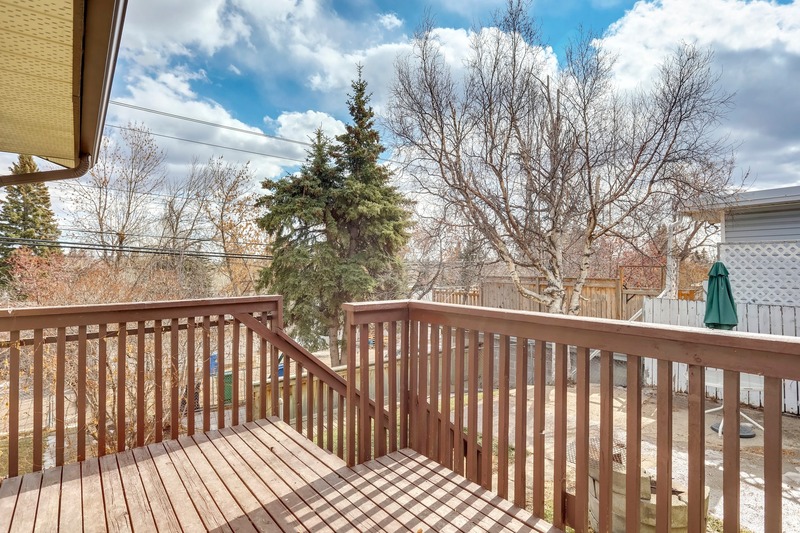 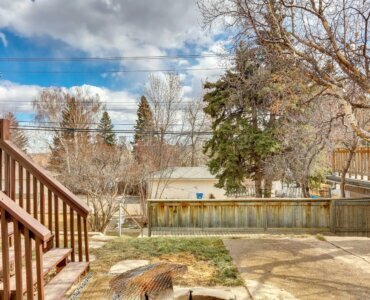 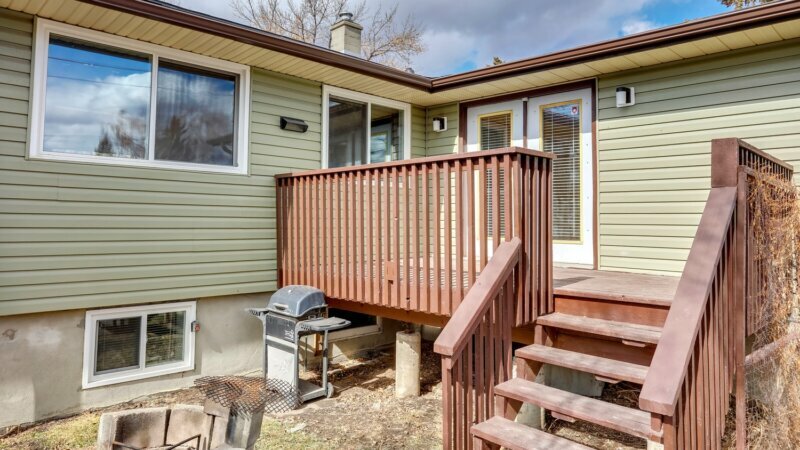 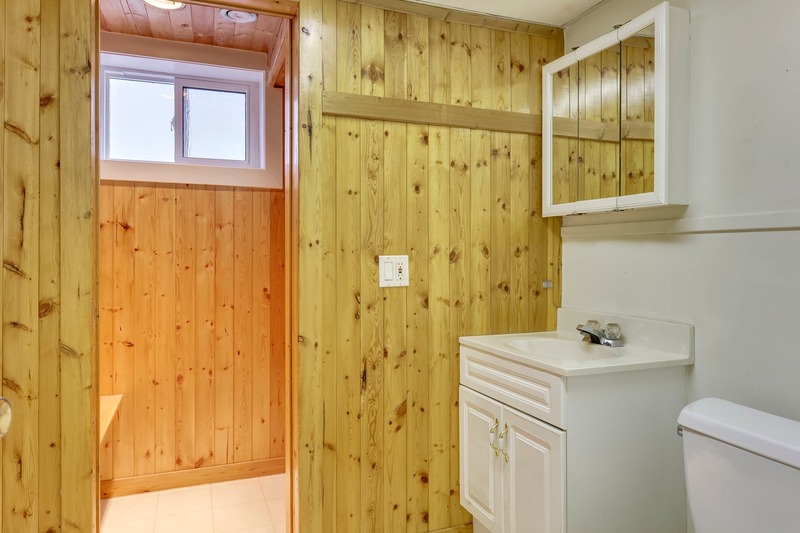 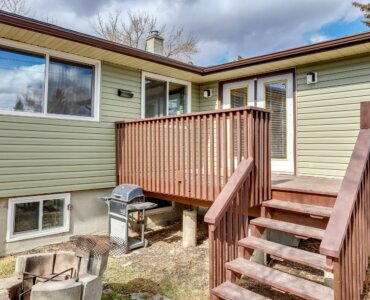 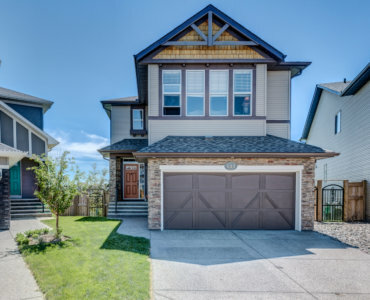 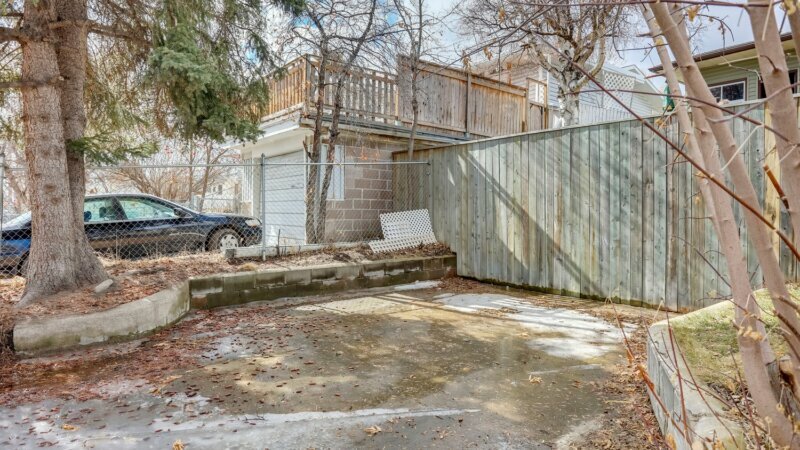 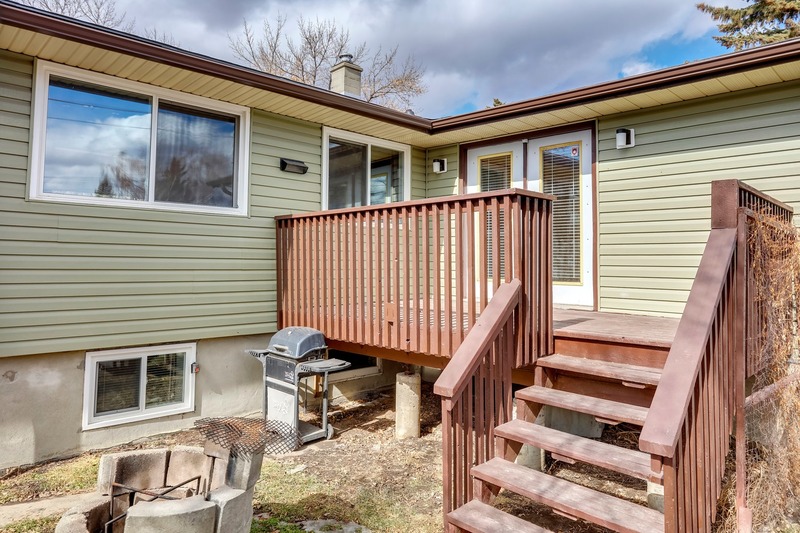 The backyard has mature tree’s, patio and RV parking which provides the foundation to Create your own private Oasis! 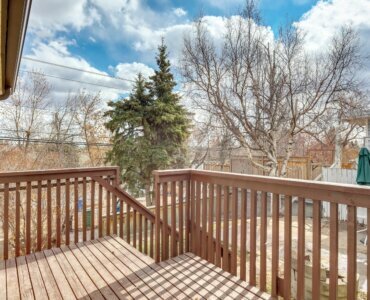 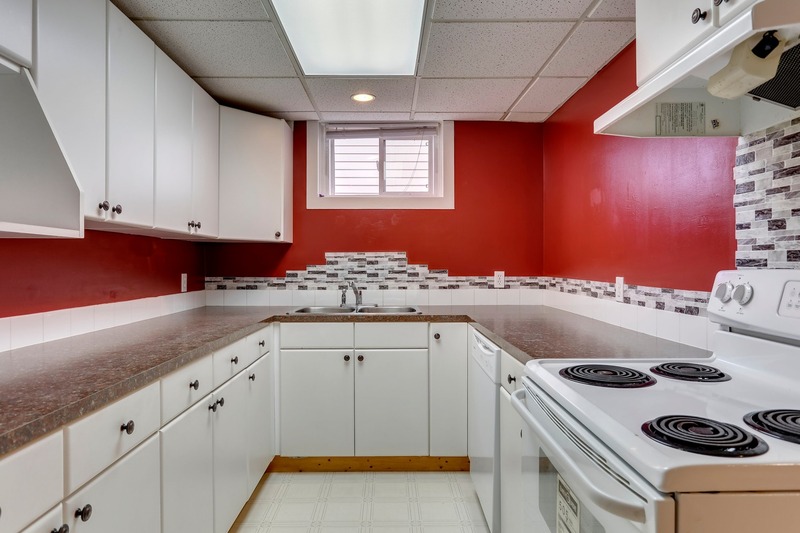 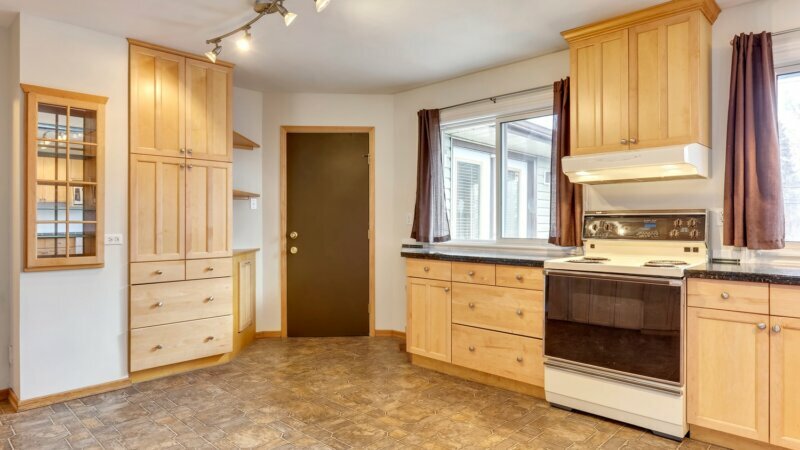 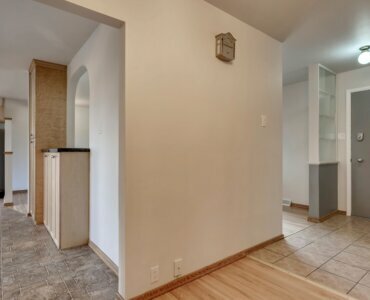 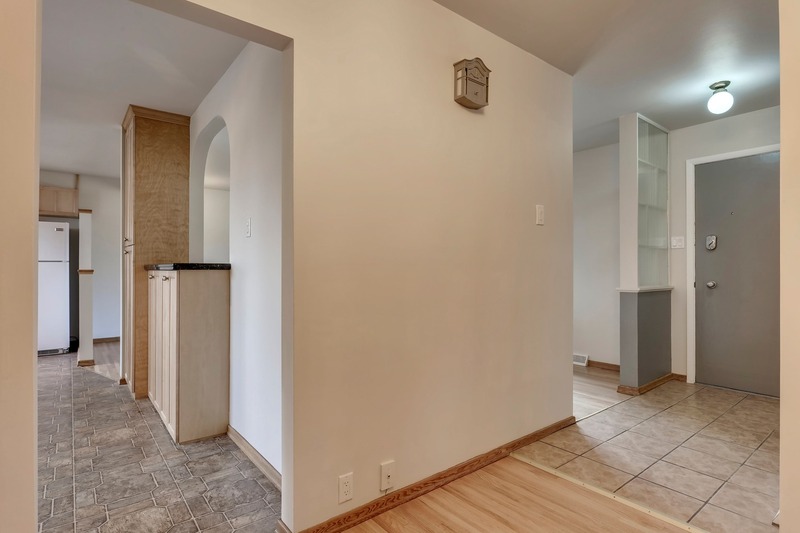 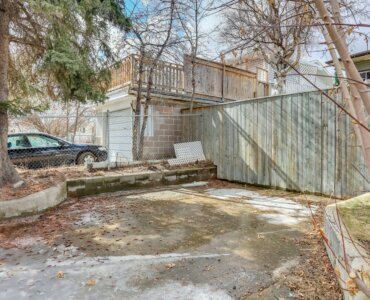 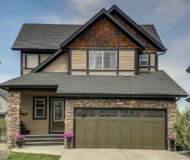 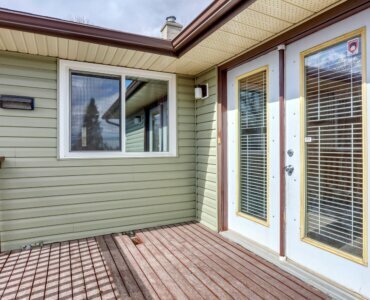 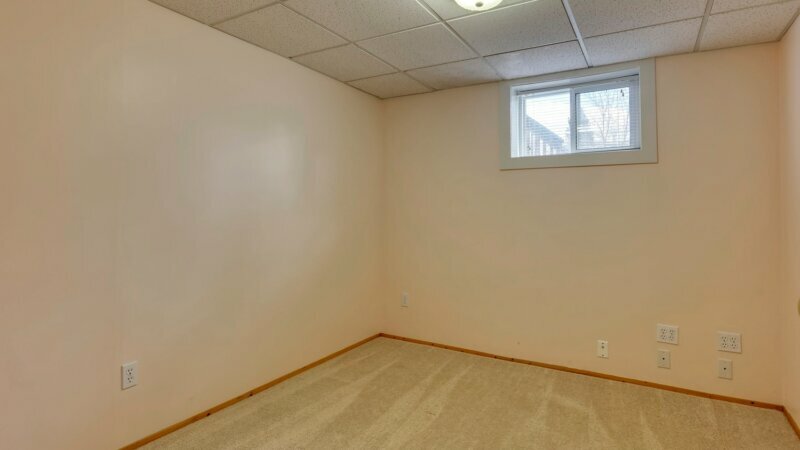 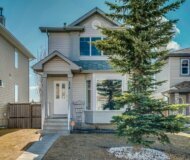 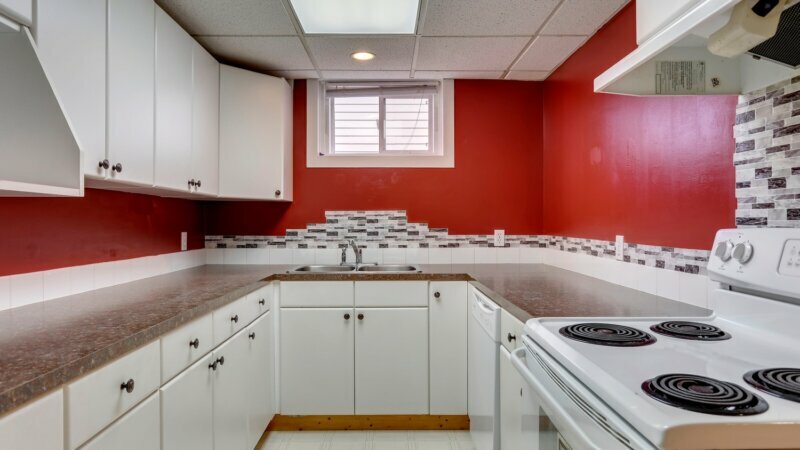 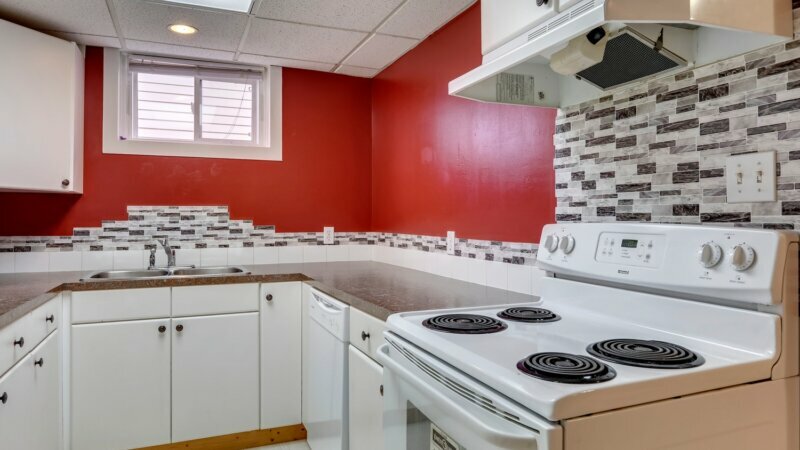 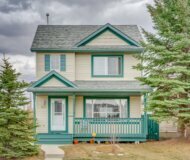 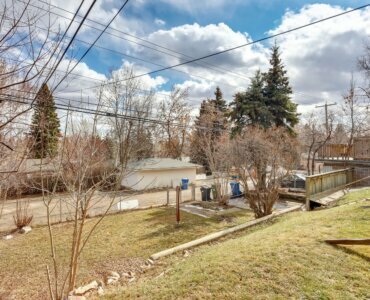 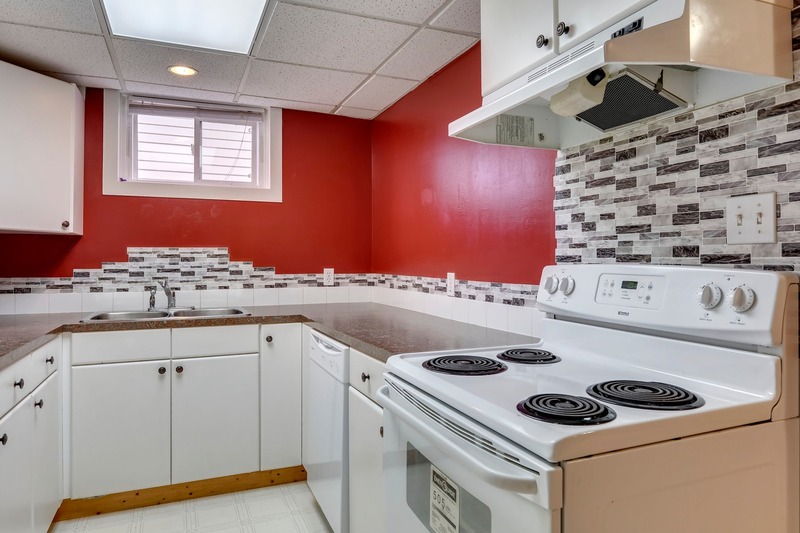 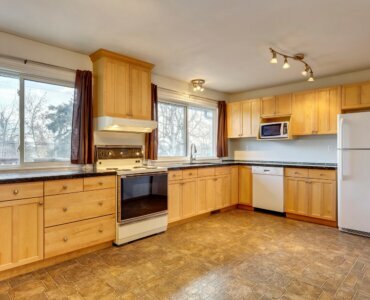 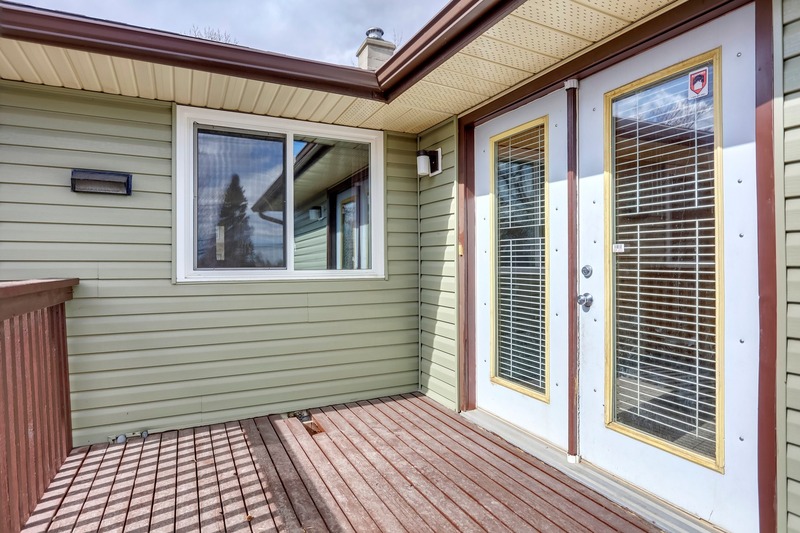 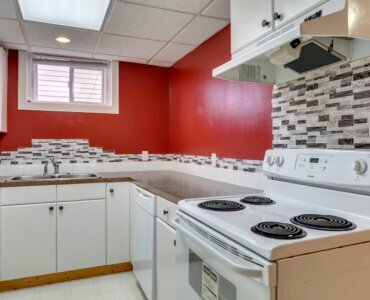 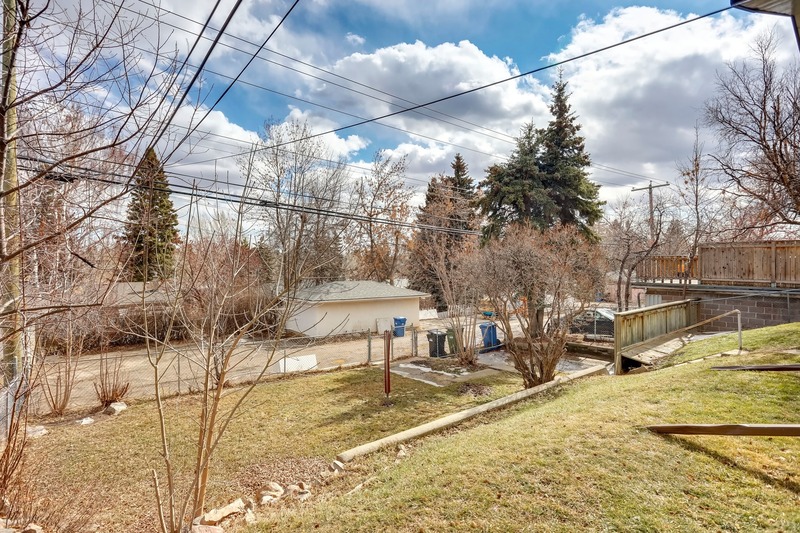 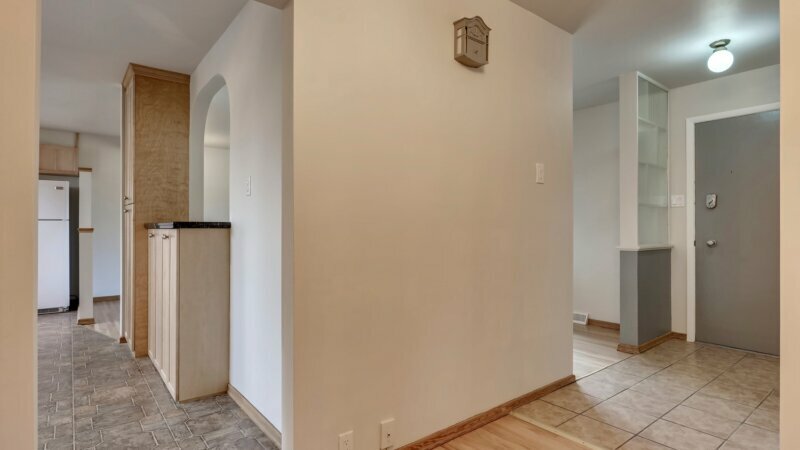 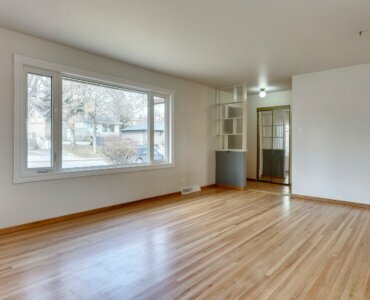 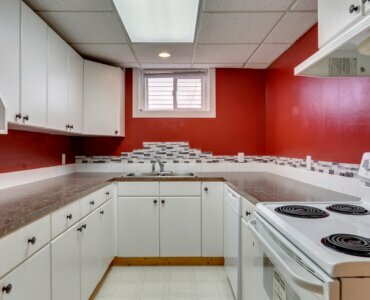 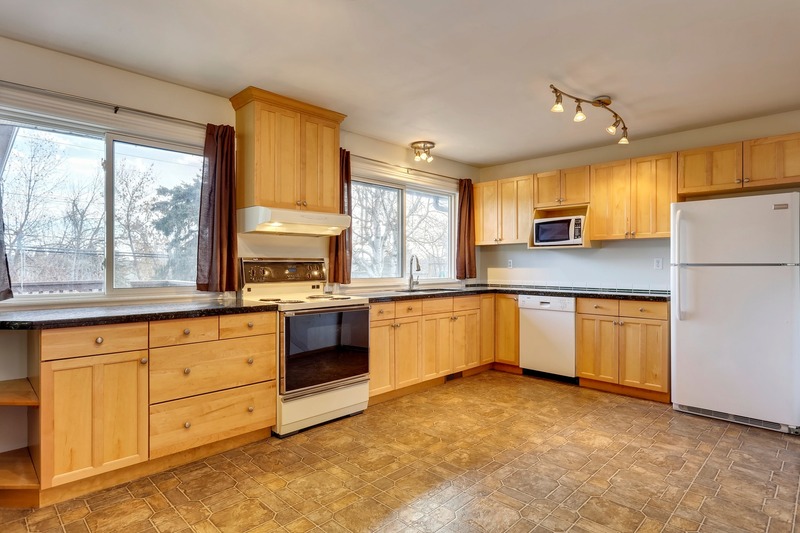 Close to parks, schools, public transportation and downtown core.